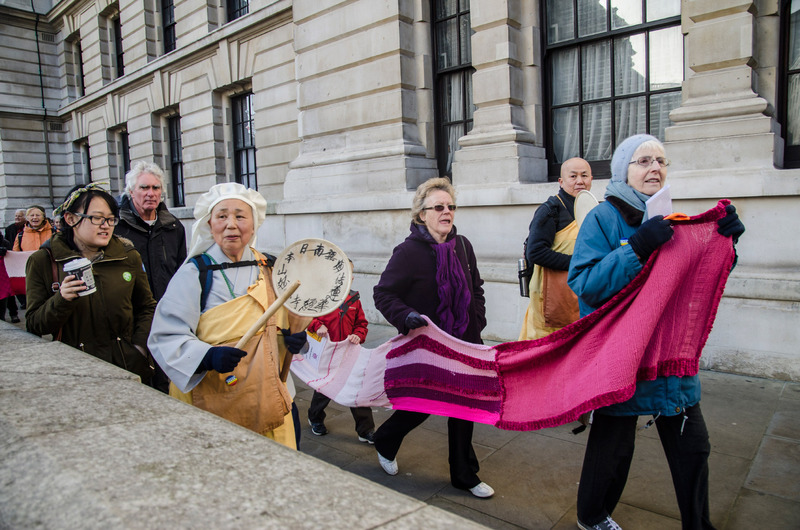 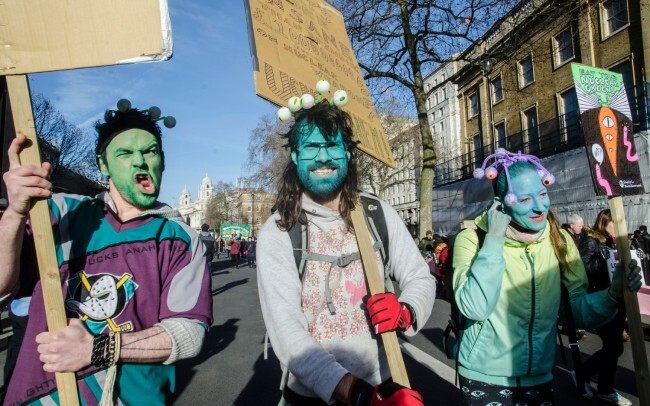 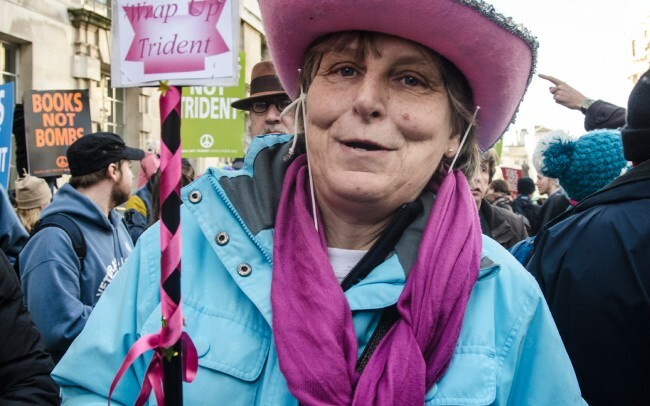 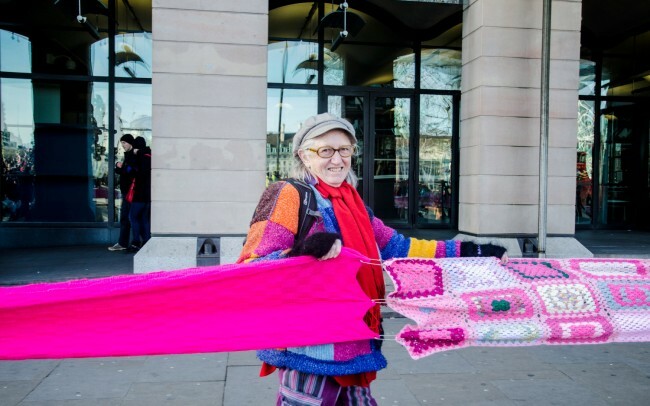 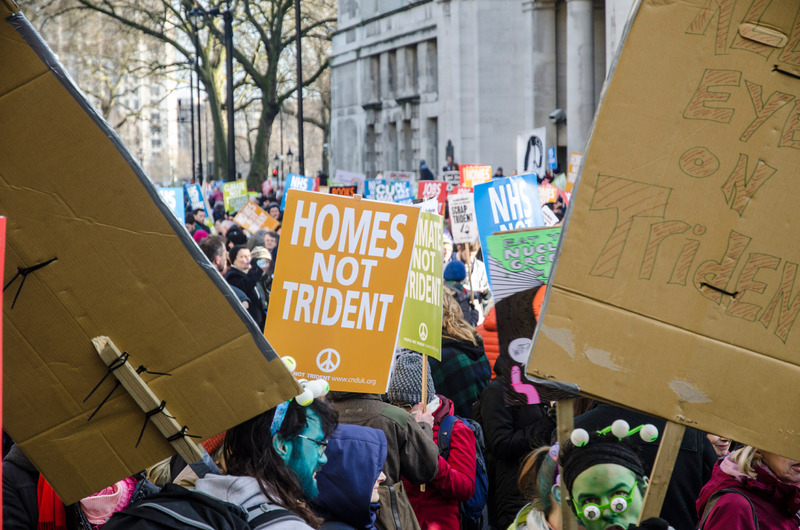 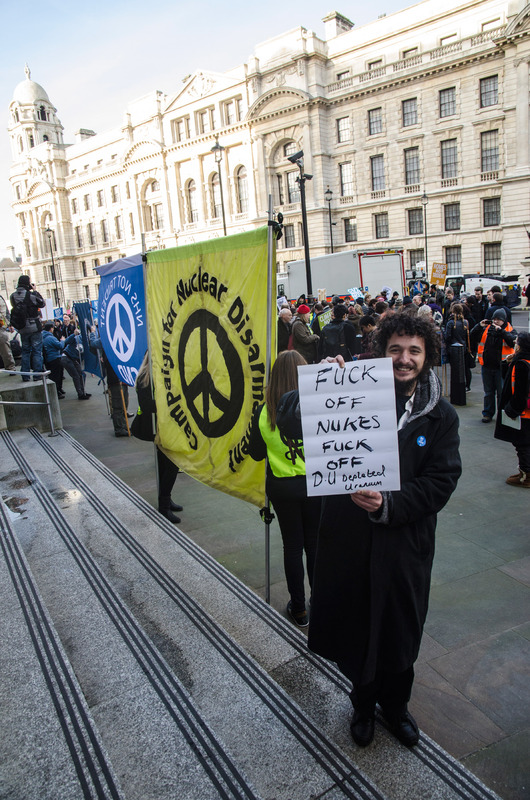 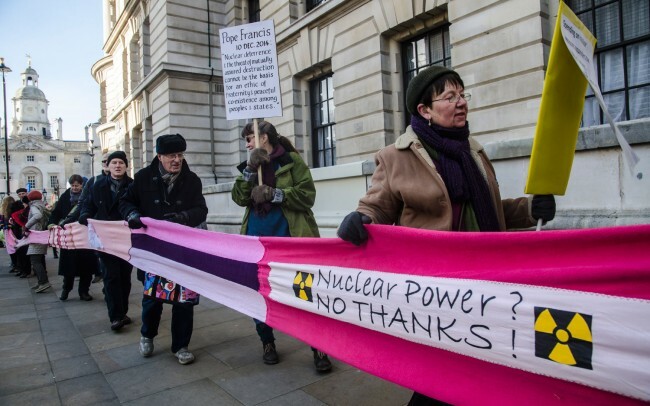 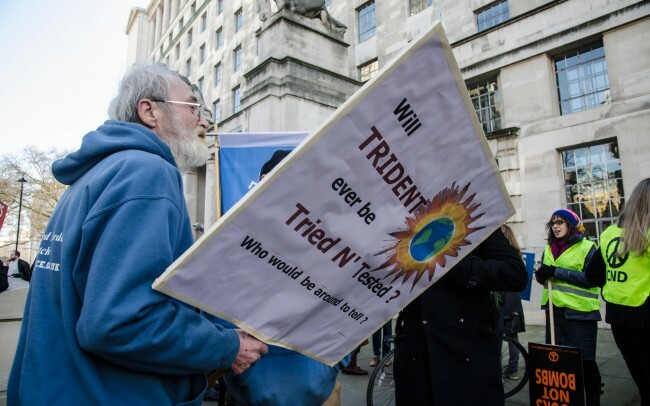 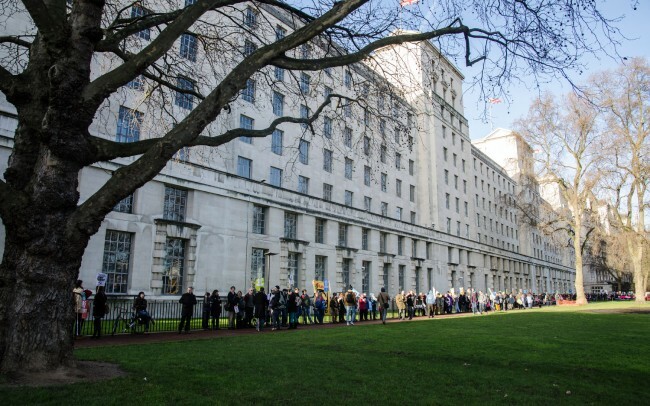 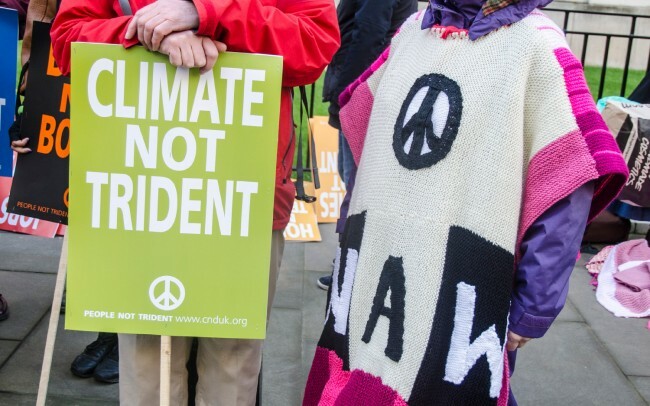 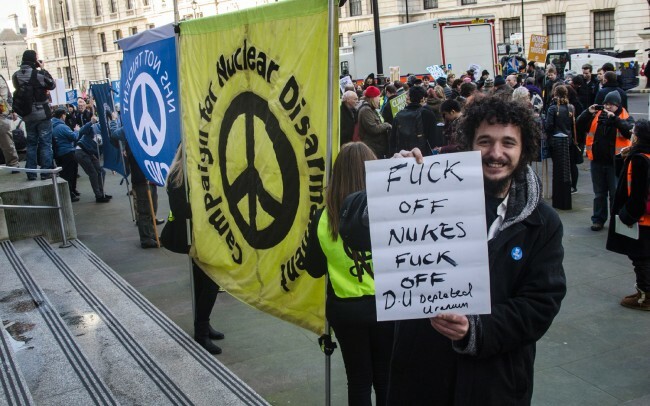 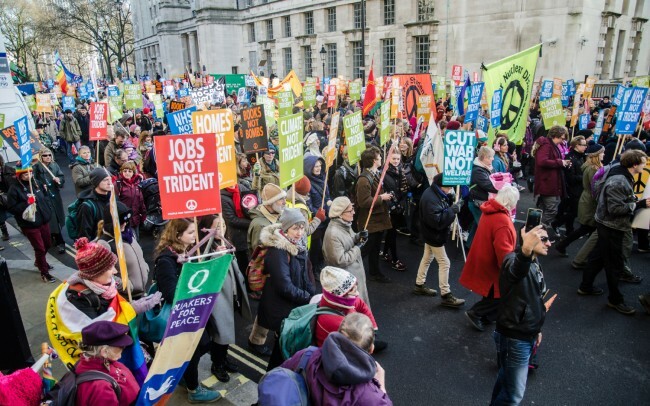 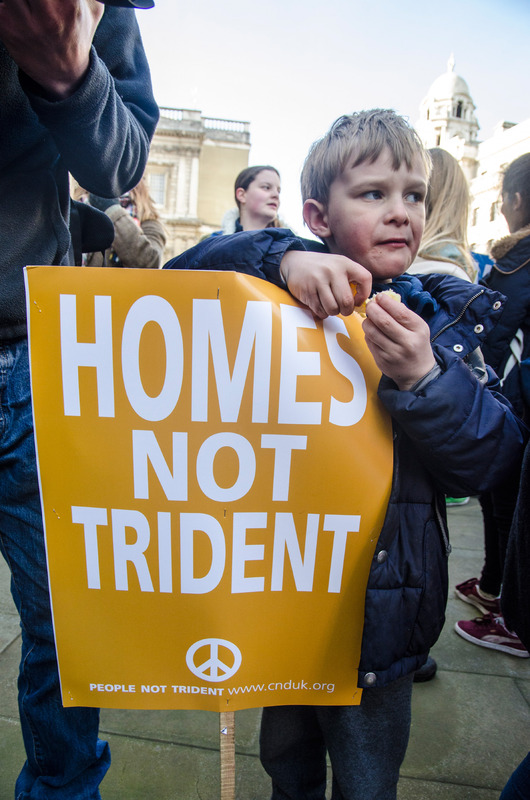 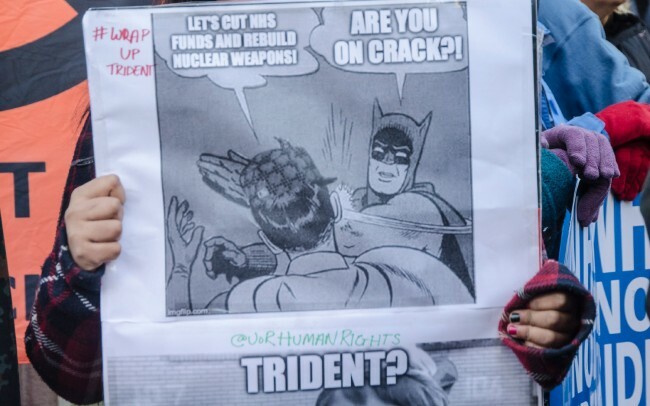 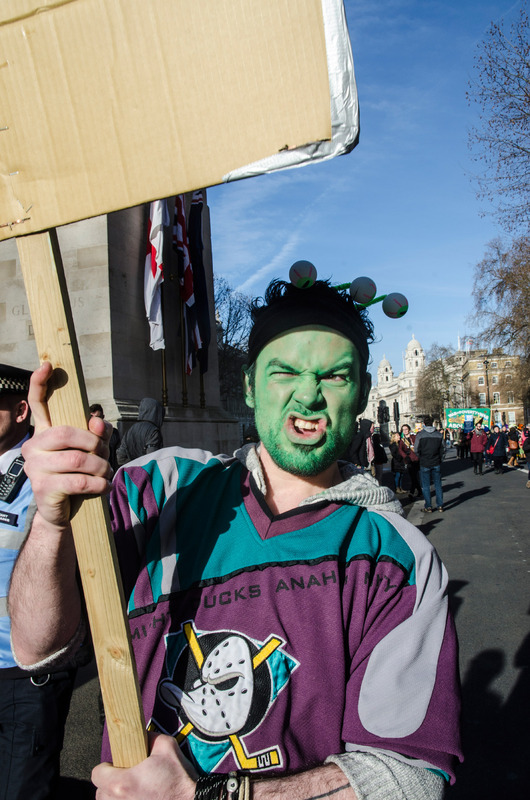 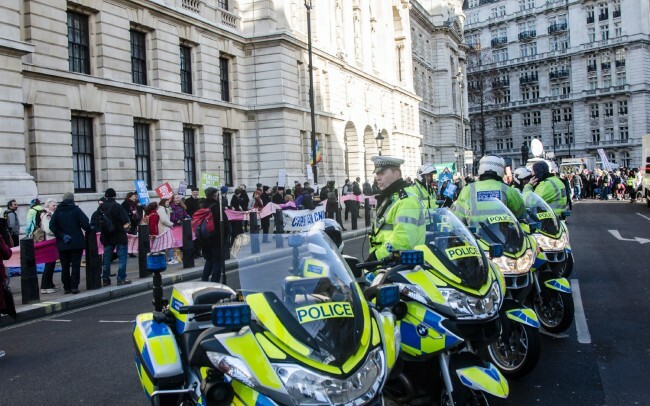 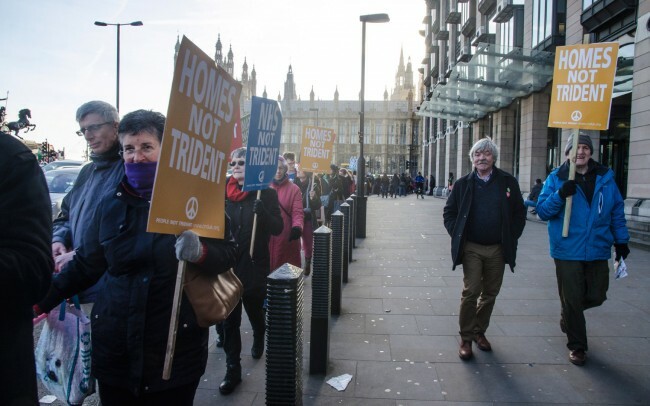 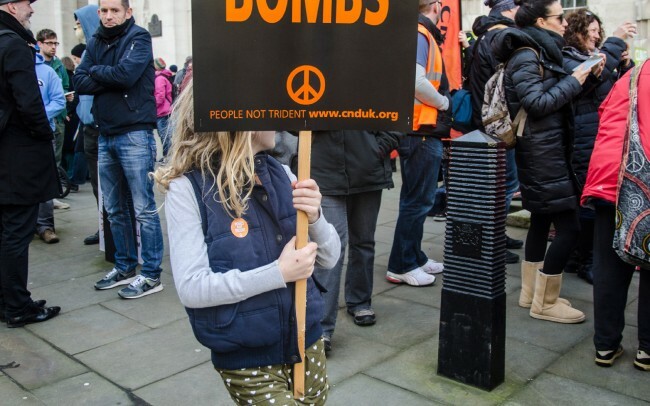 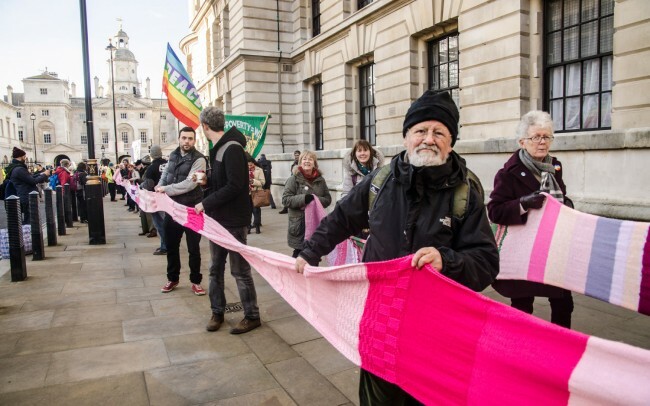 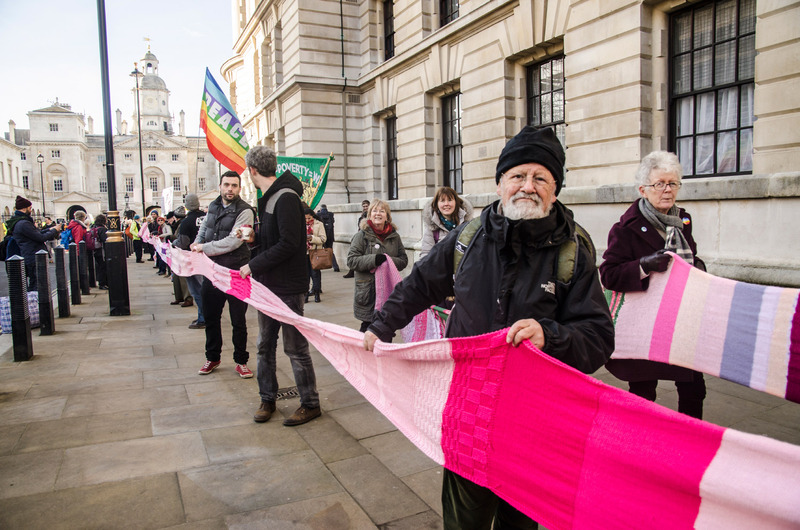 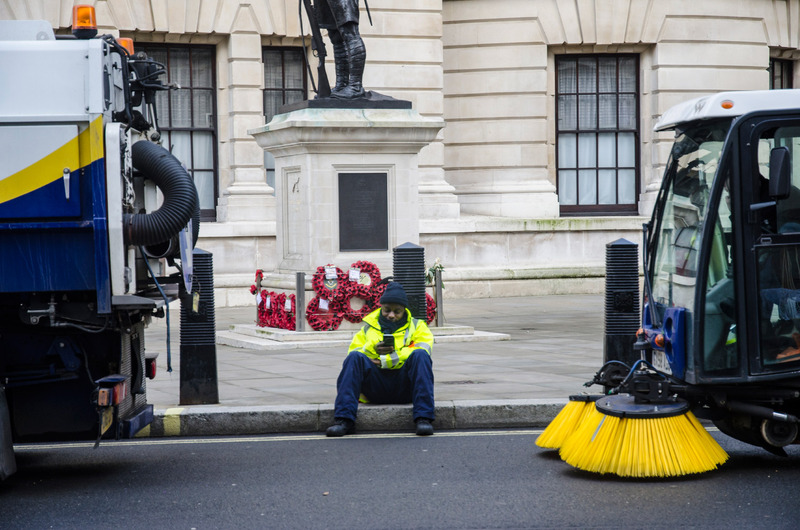 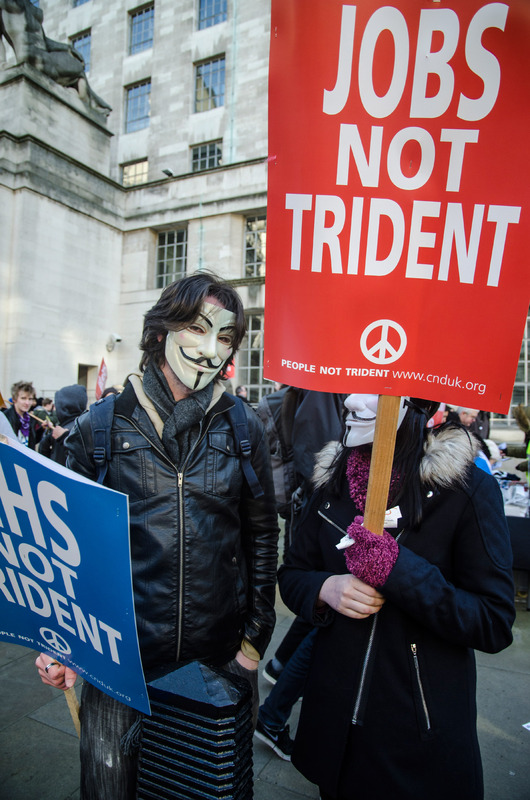 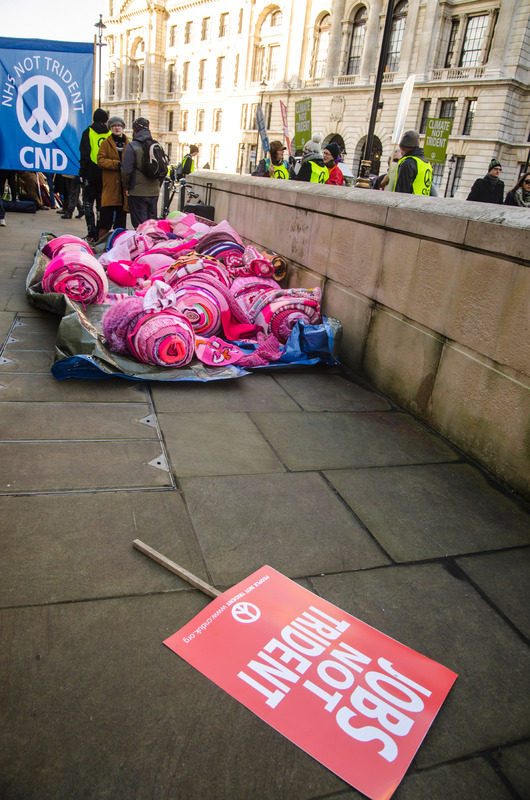 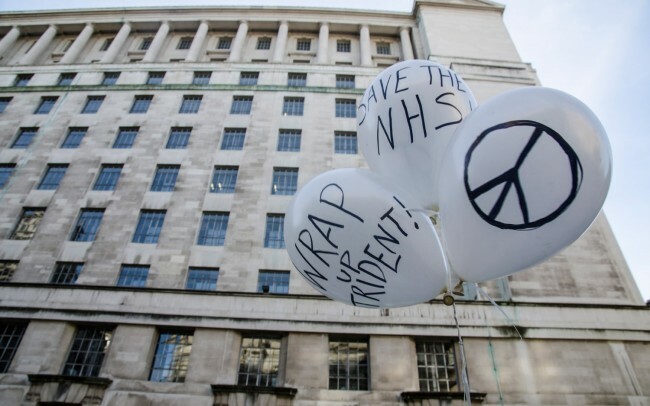 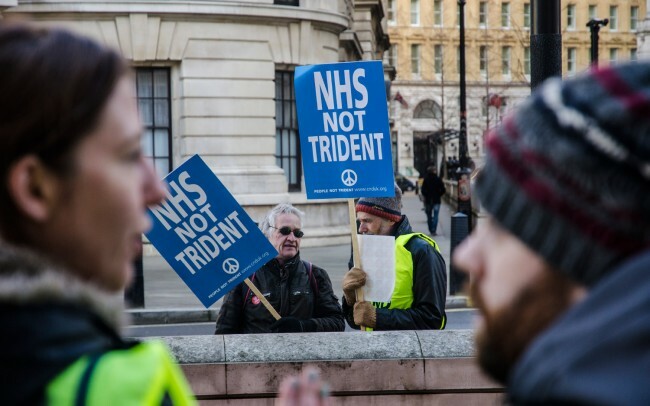 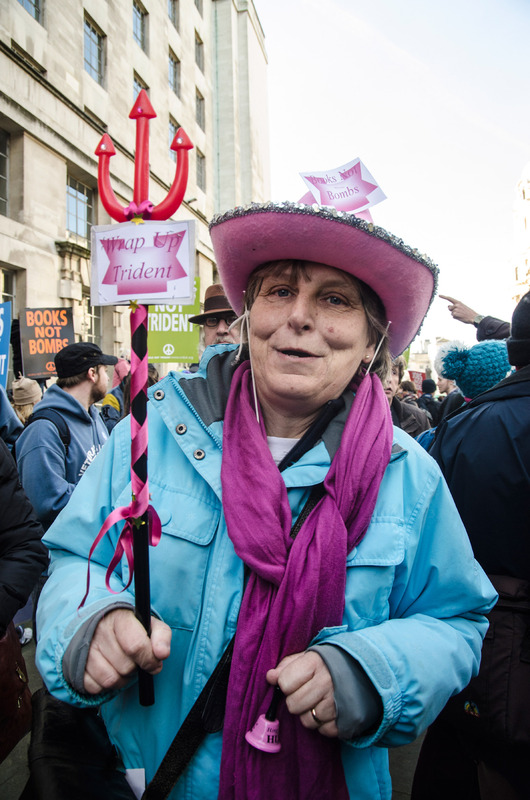 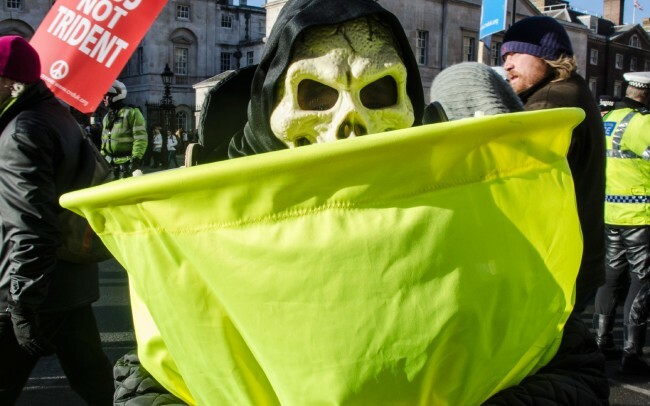 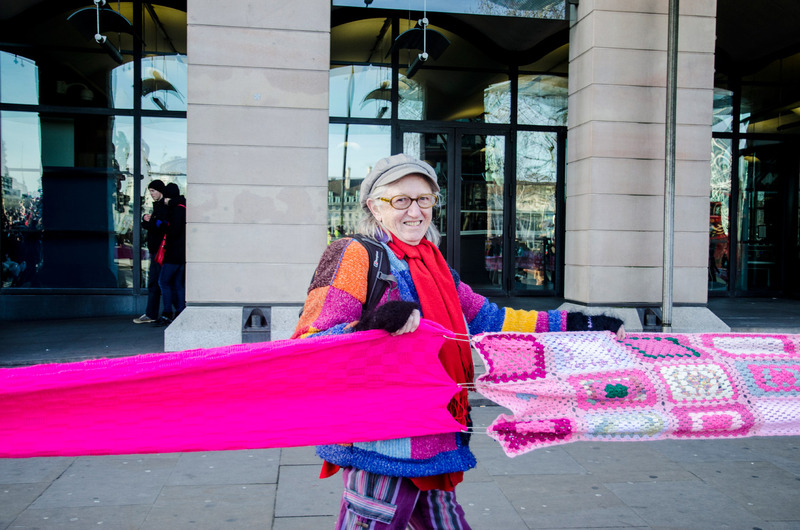 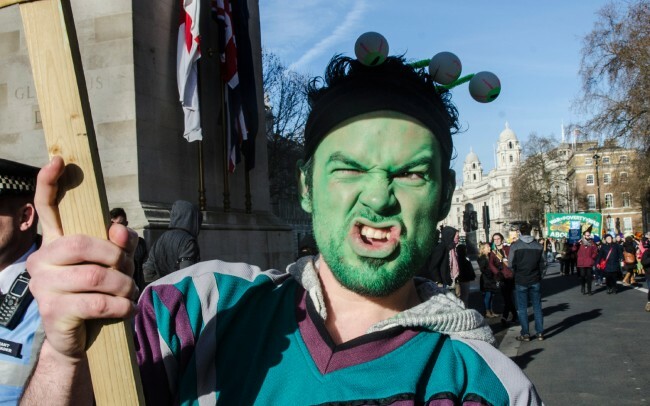 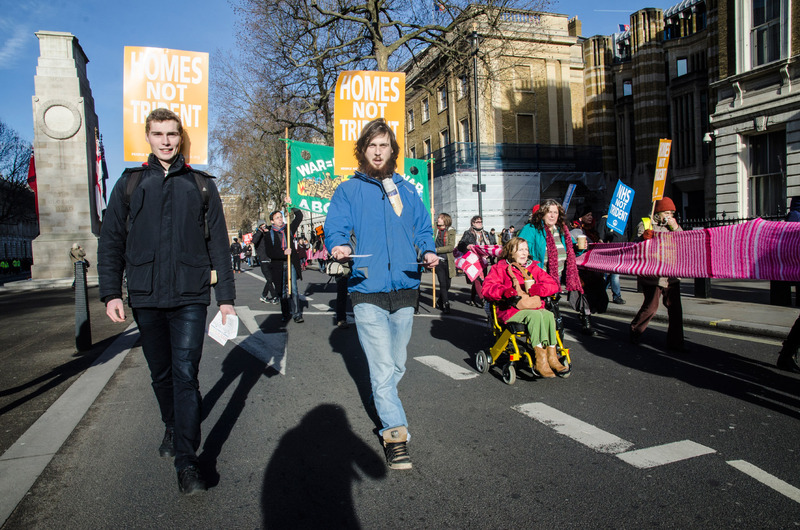 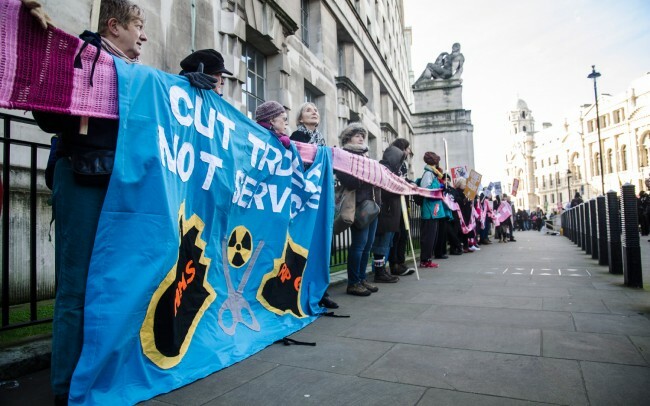 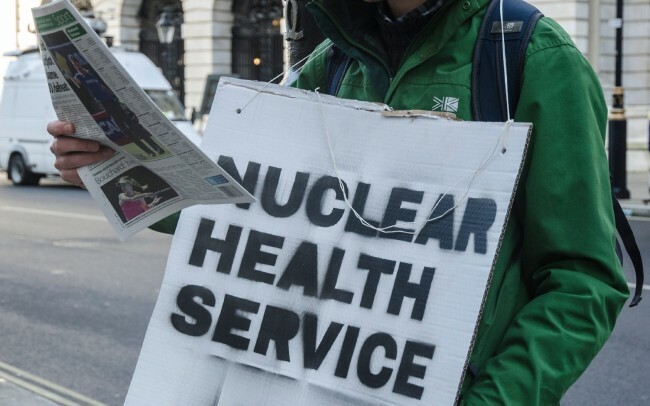 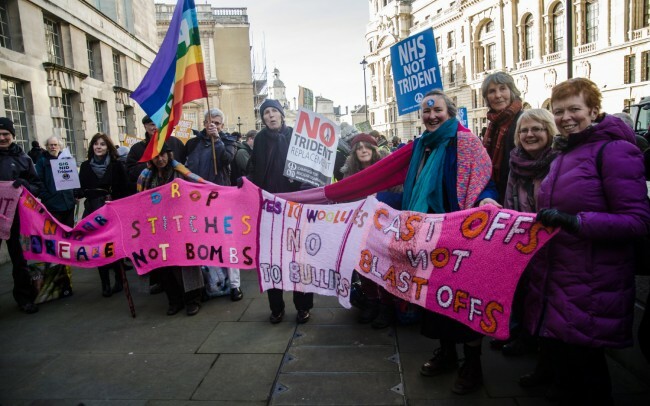 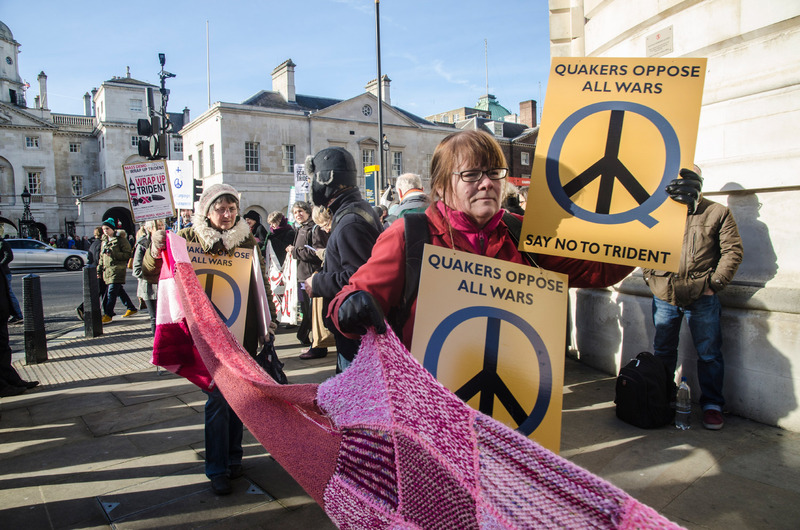 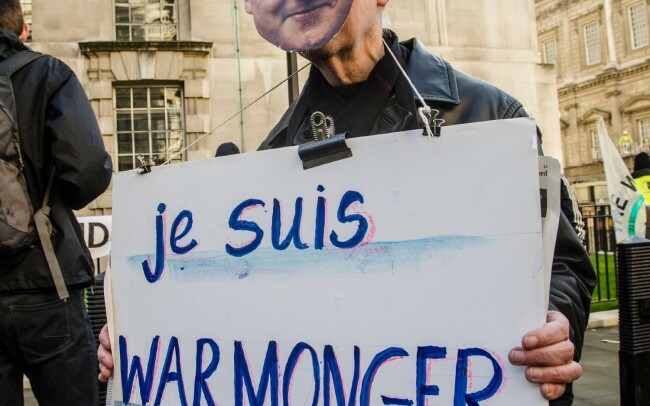 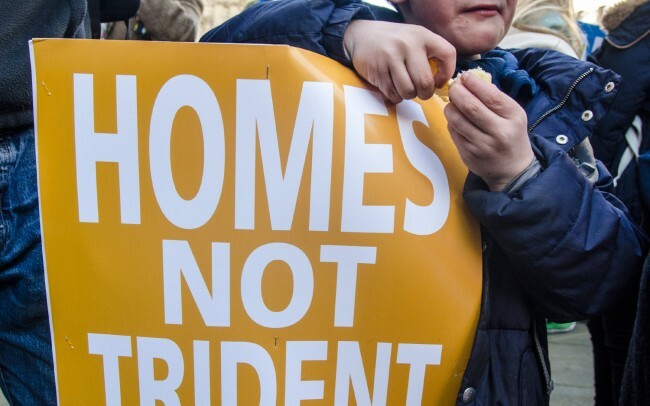 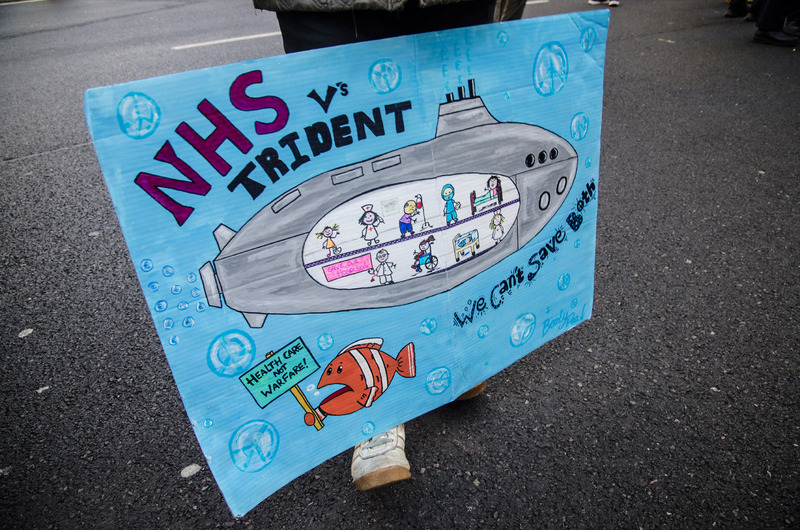 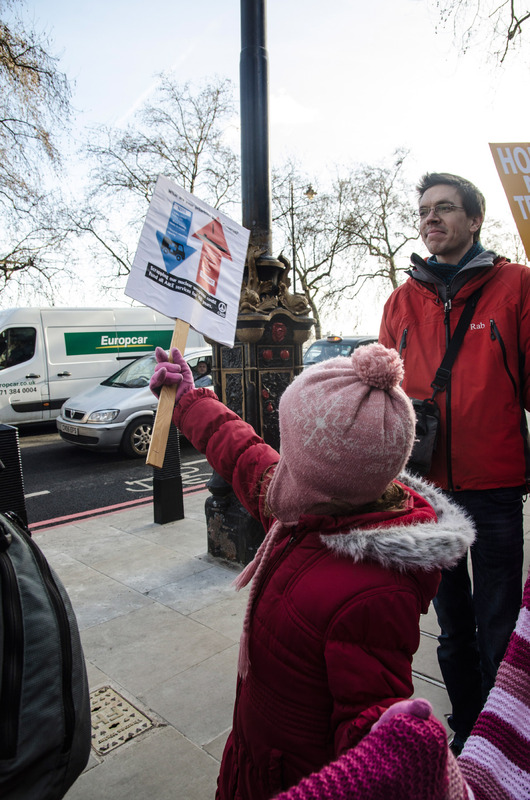 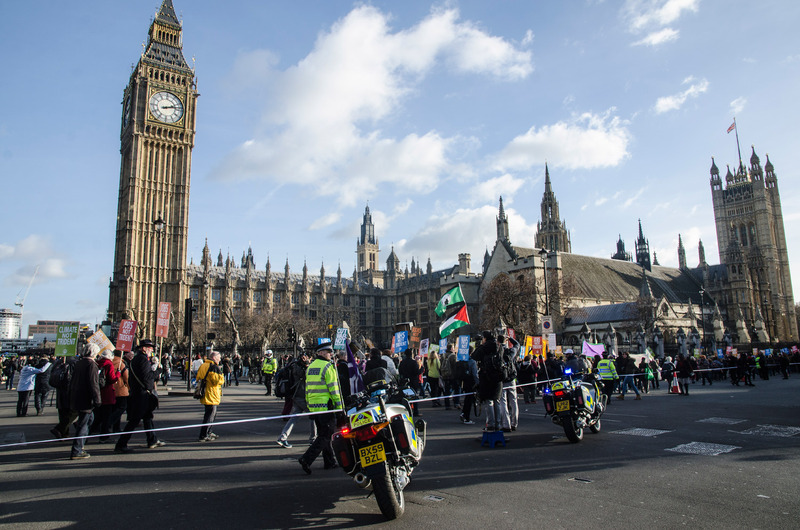 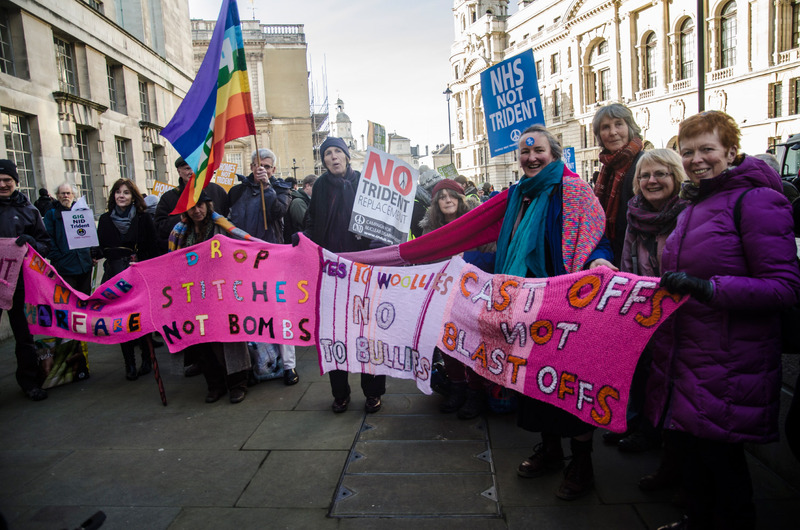 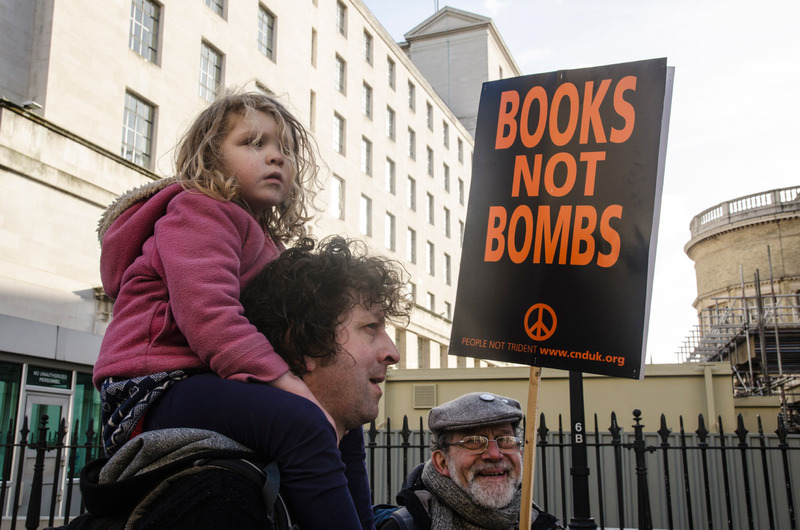 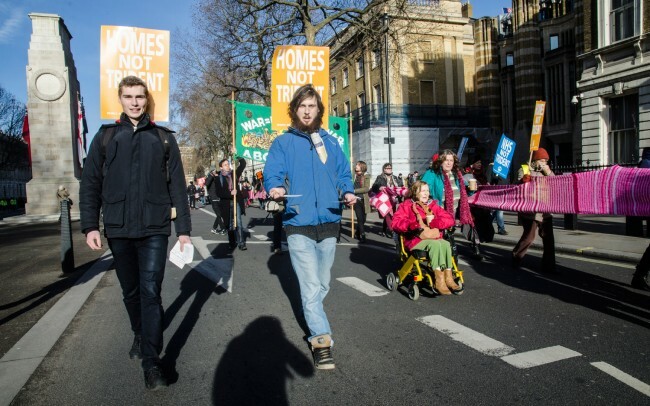 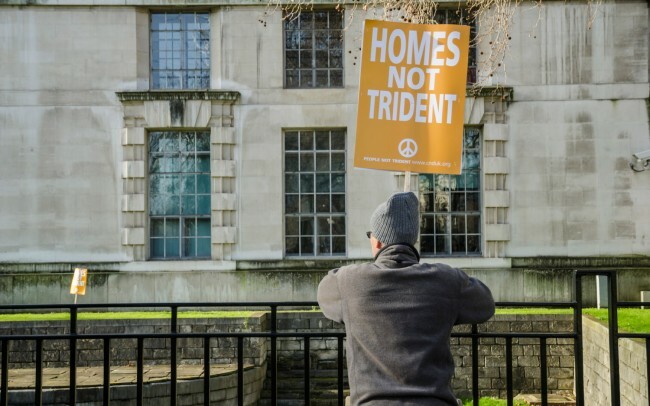 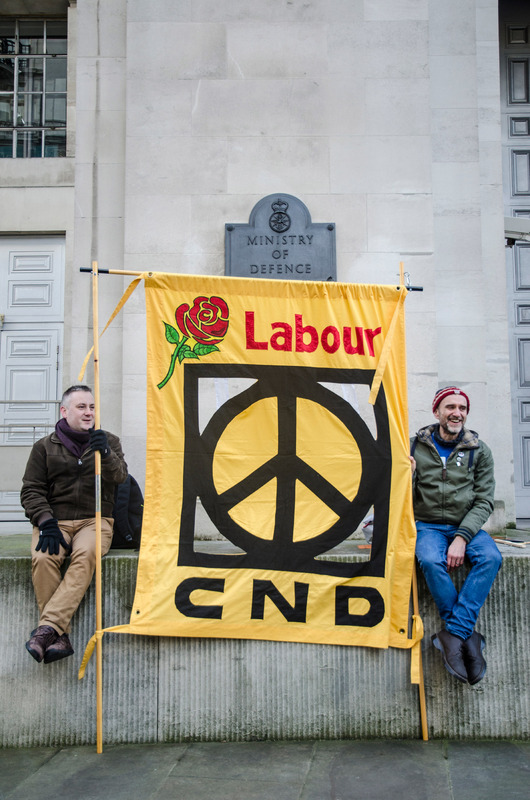 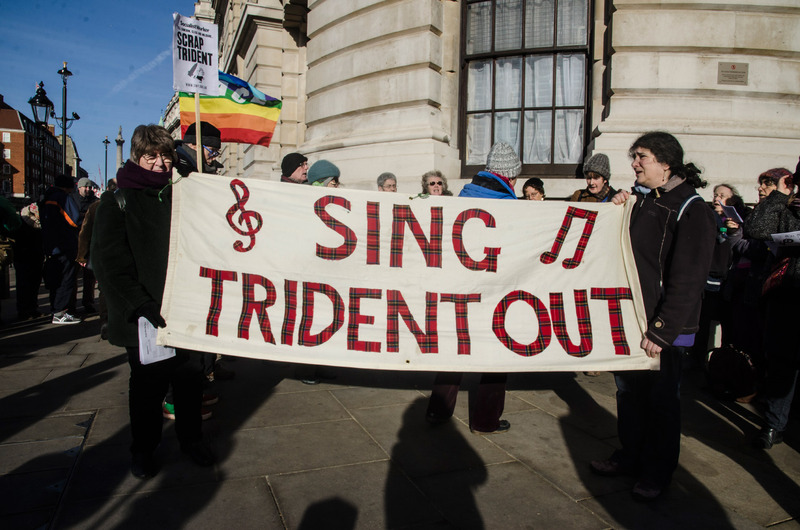 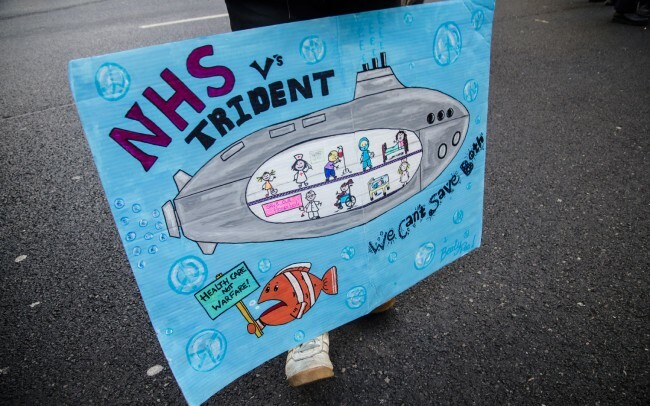 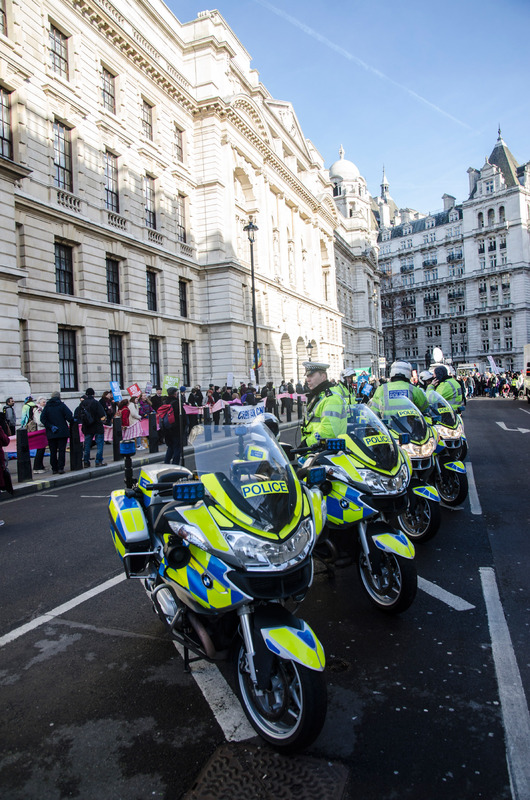 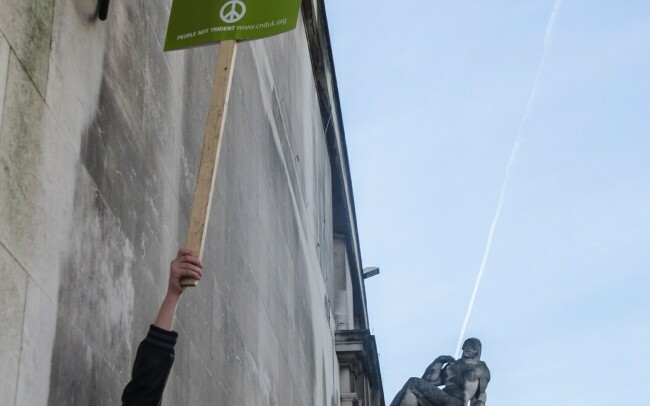 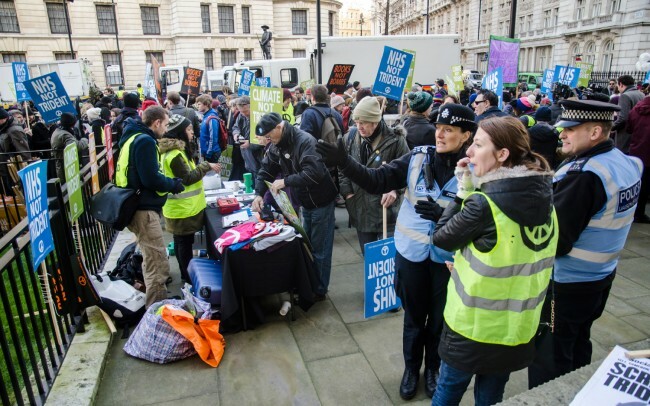 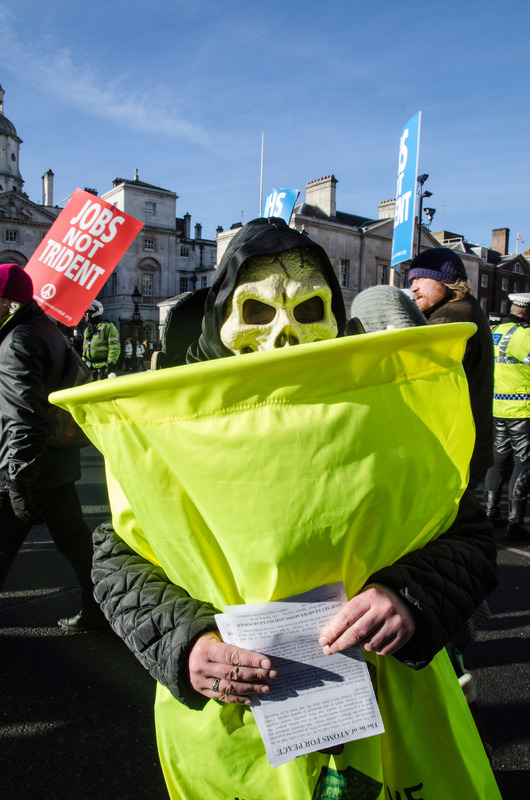 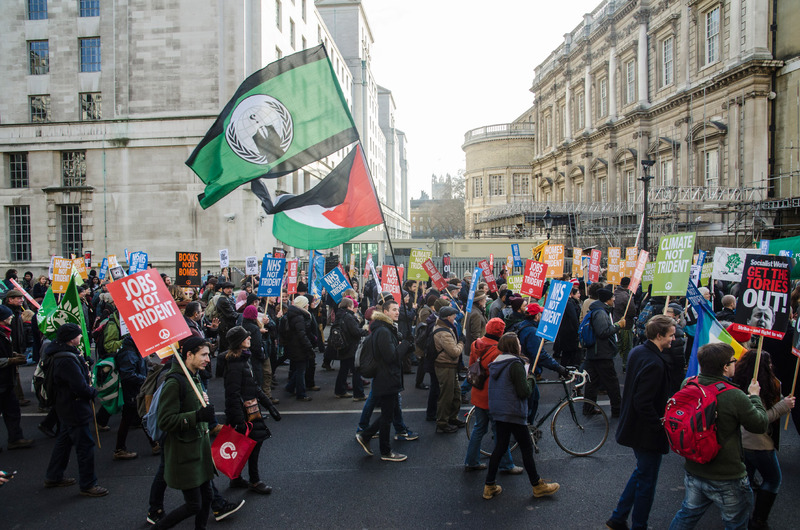 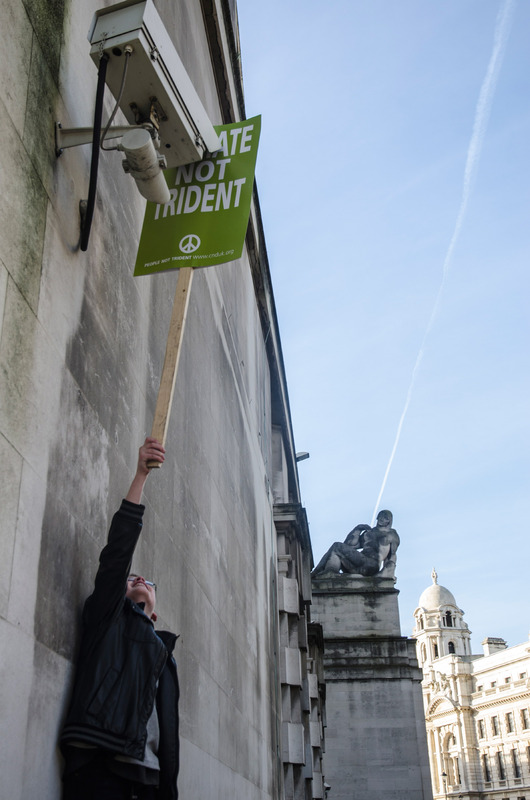 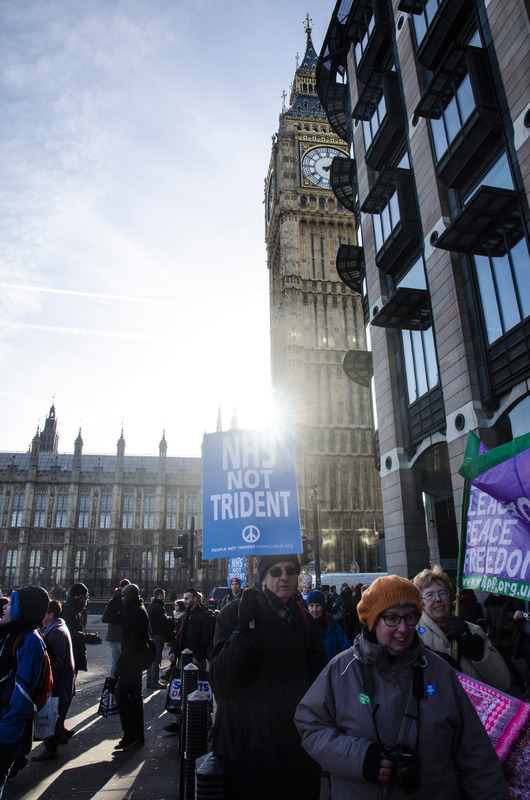 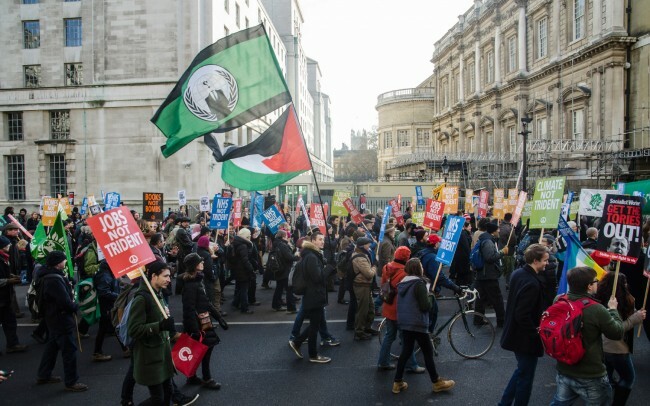 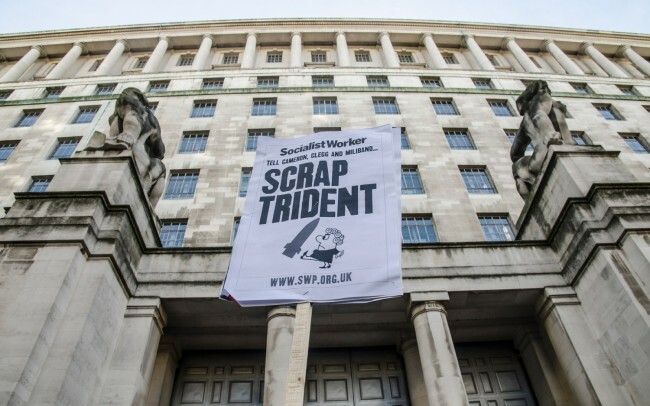 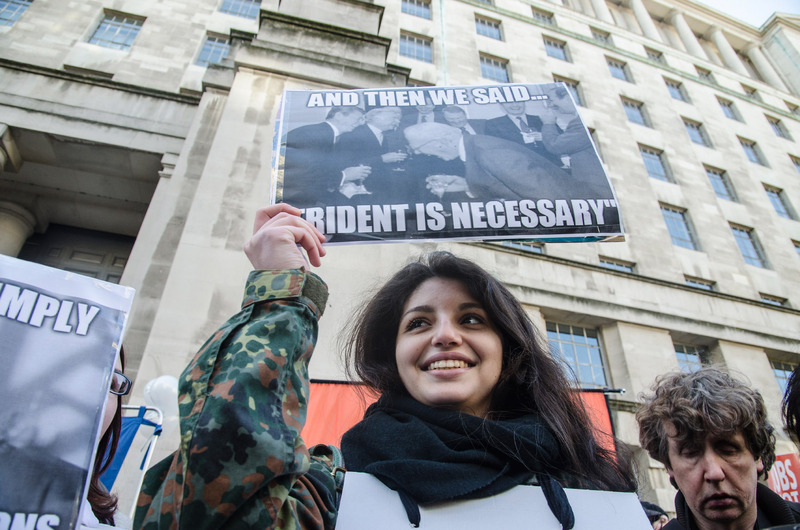 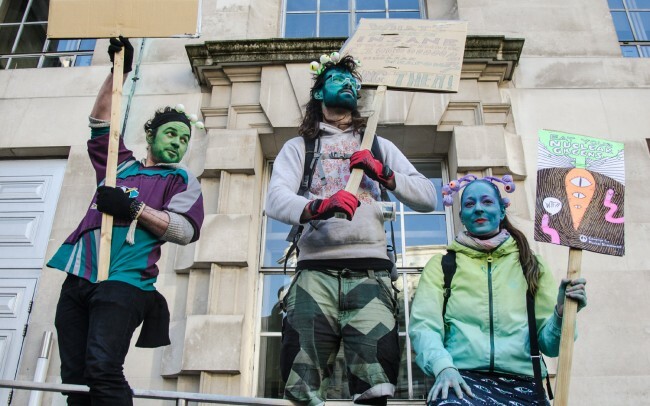 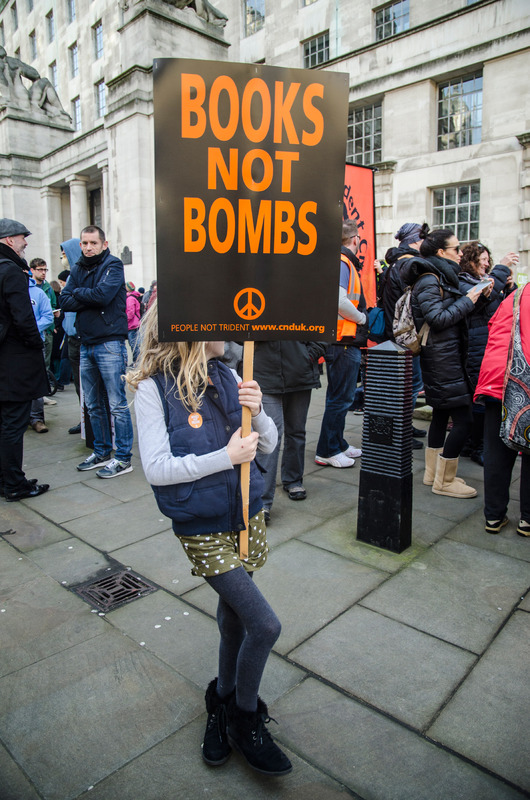 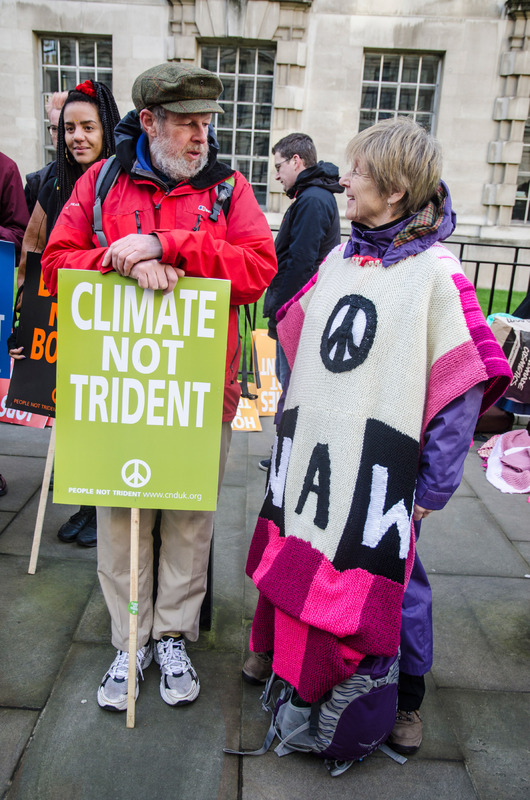 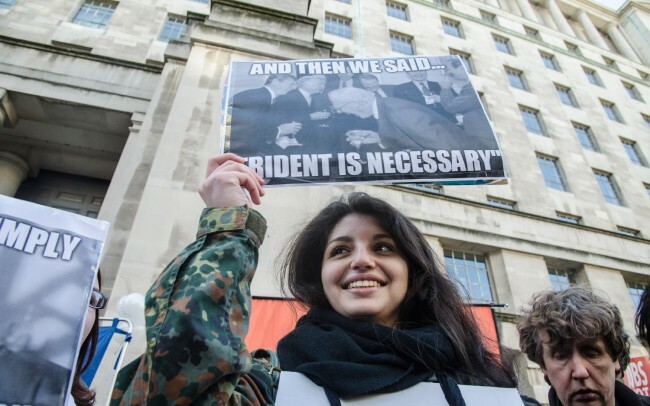 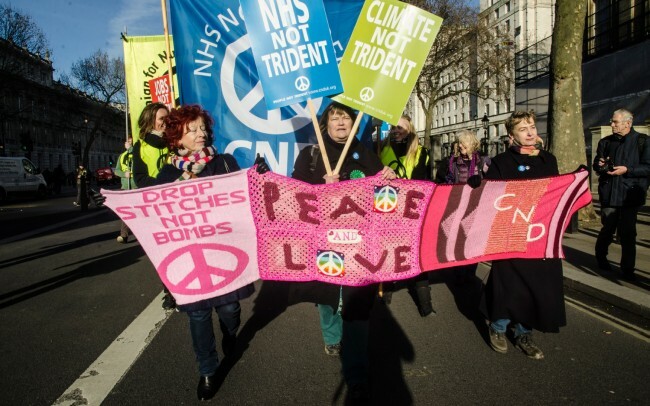 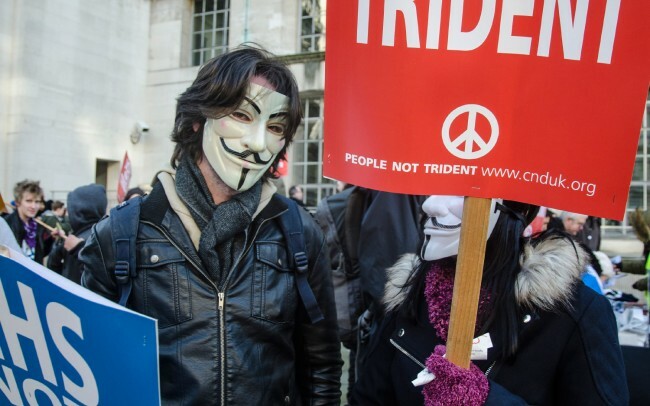 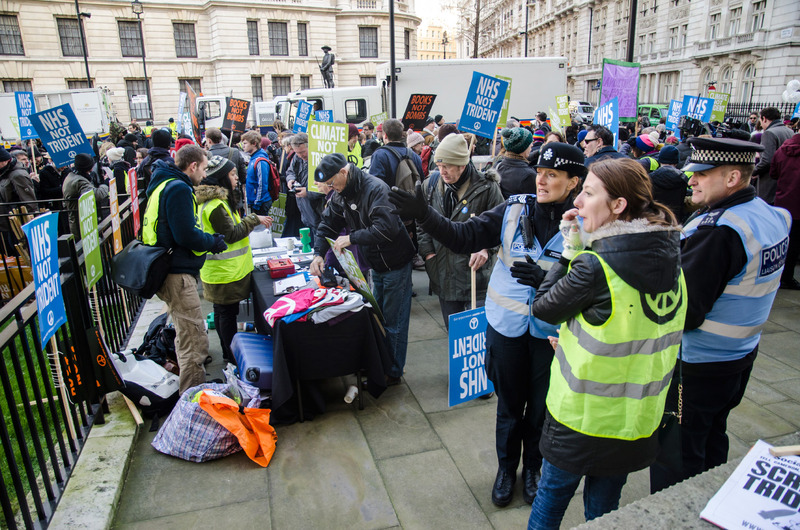 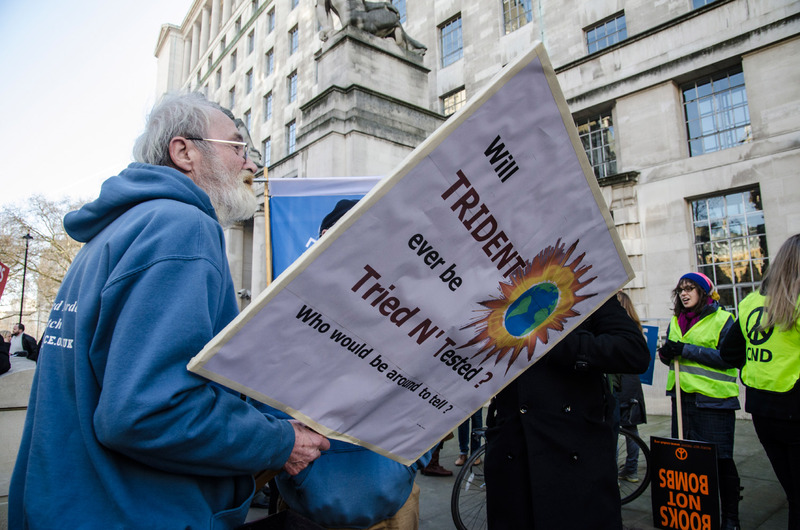 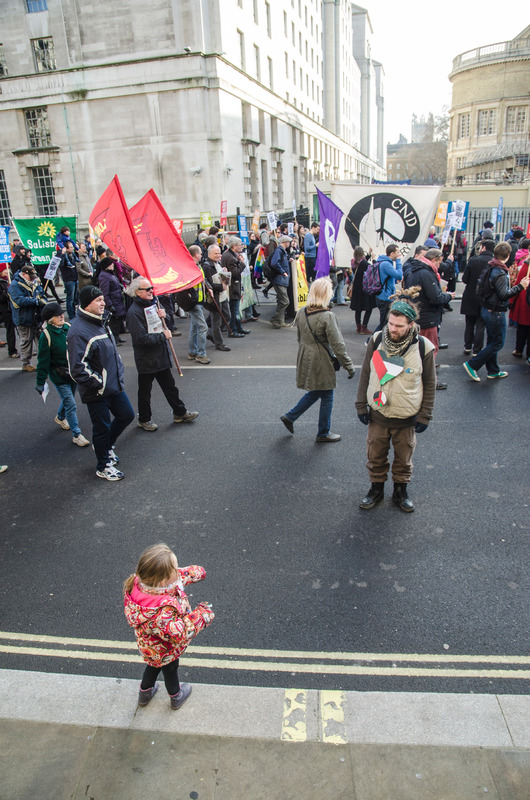 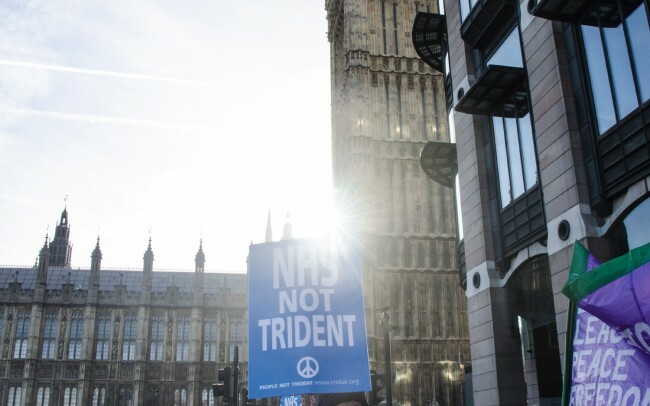 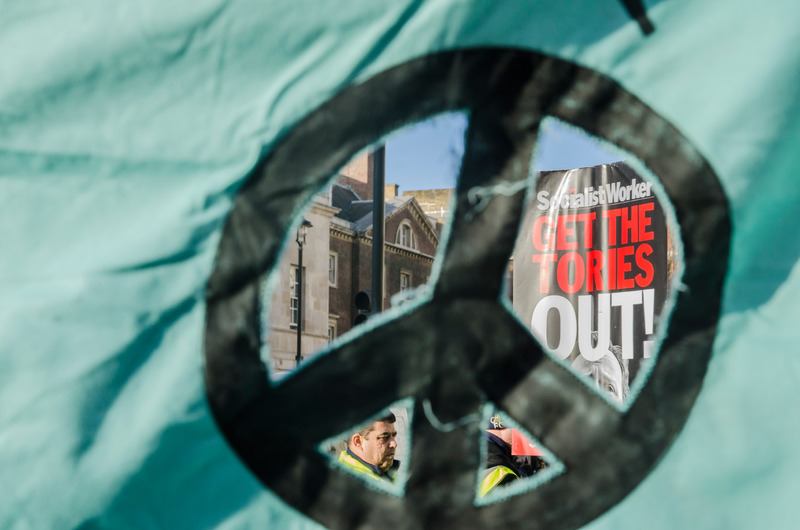 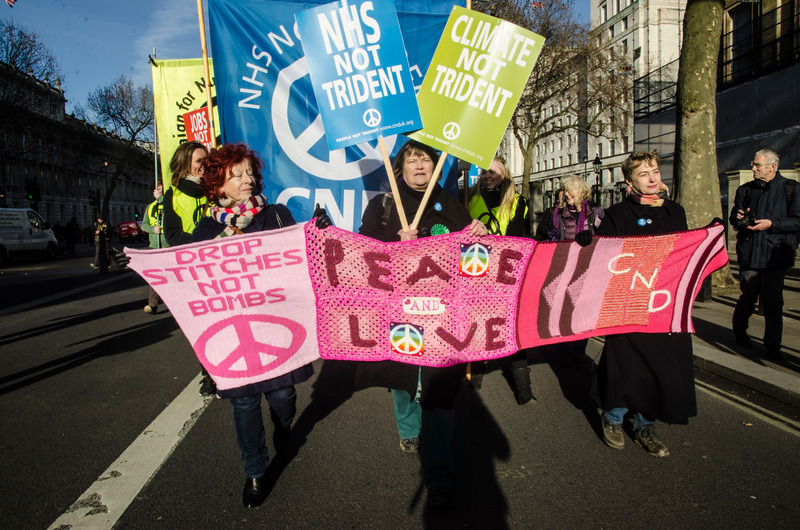 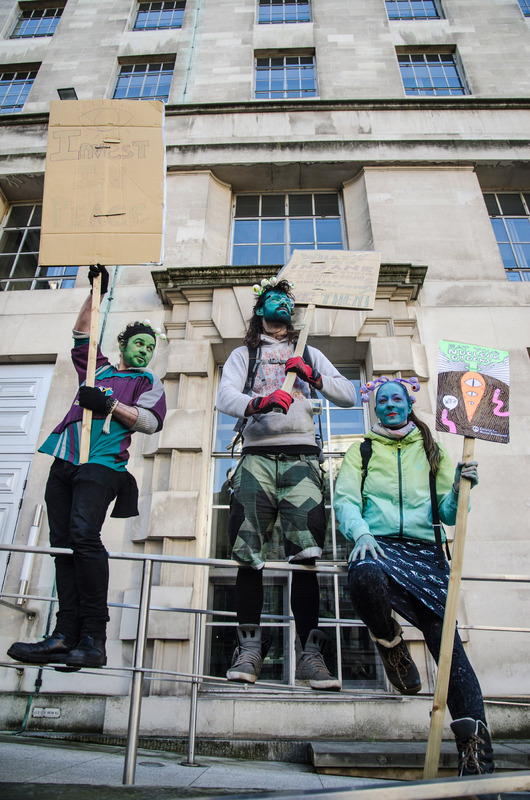 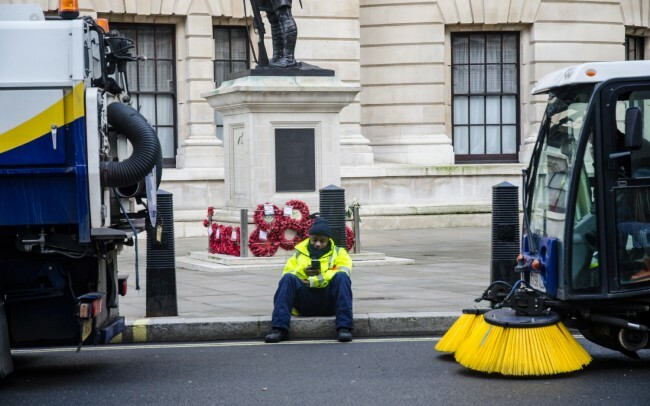 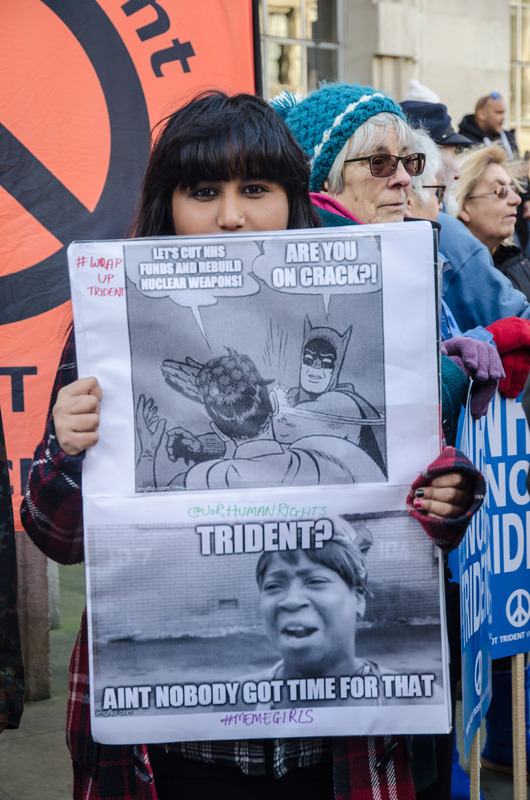 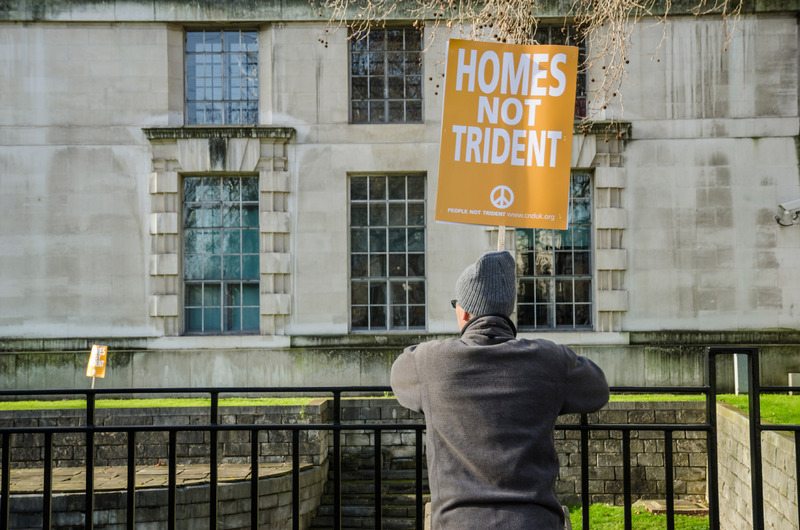 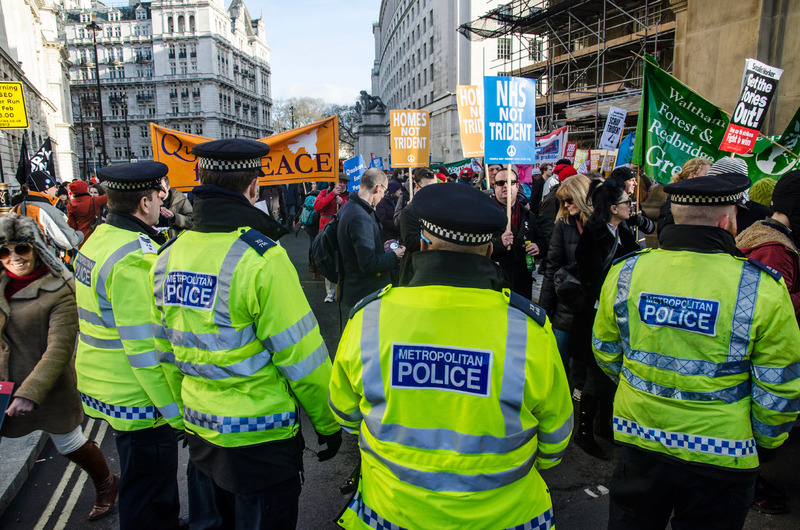 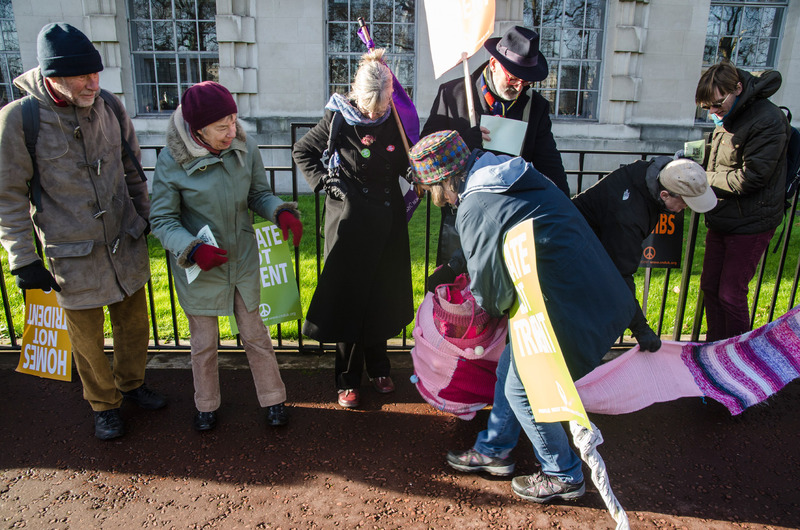 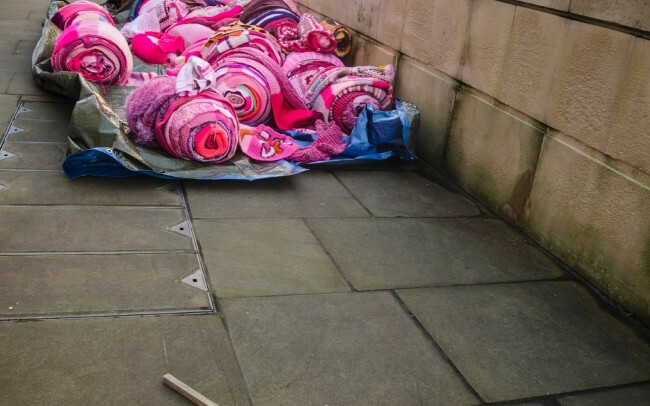 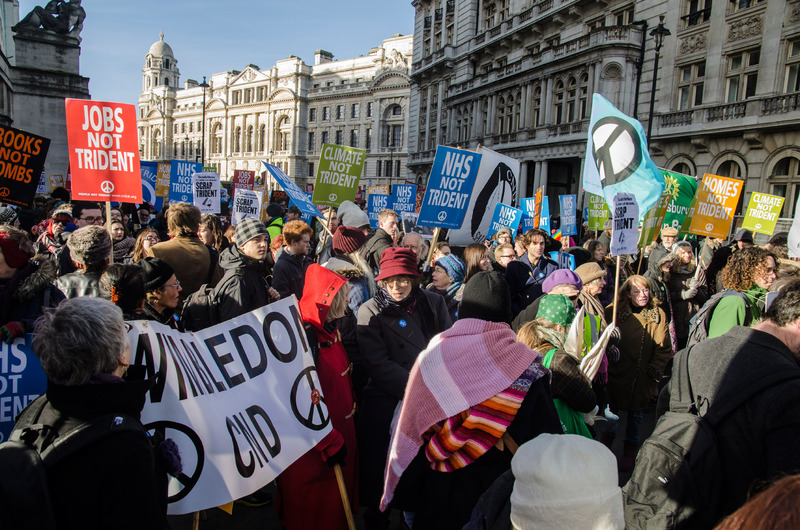 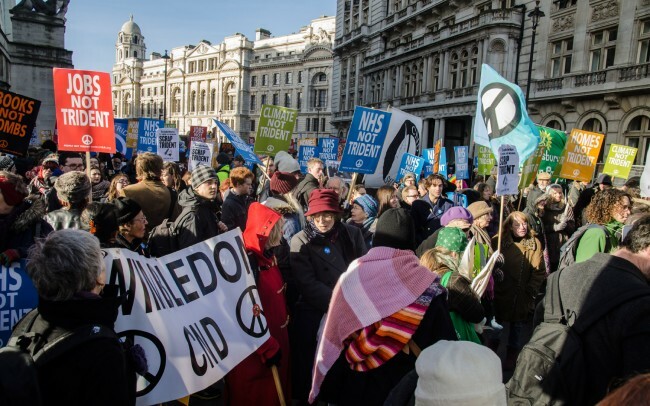 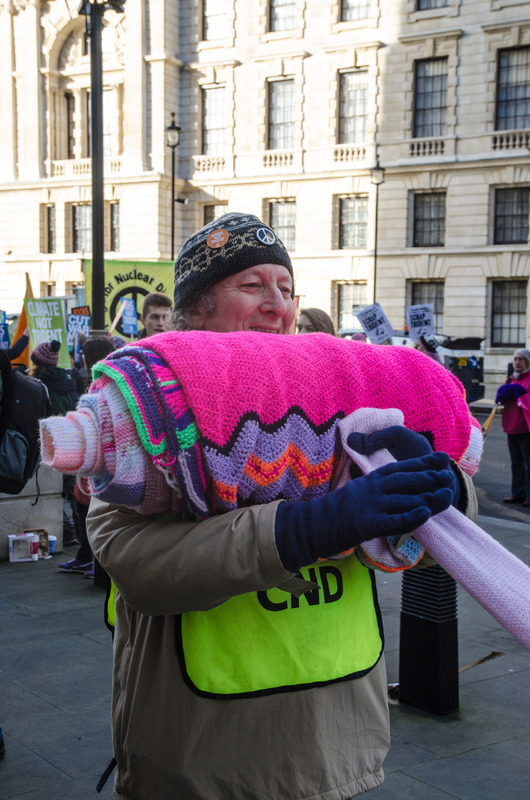 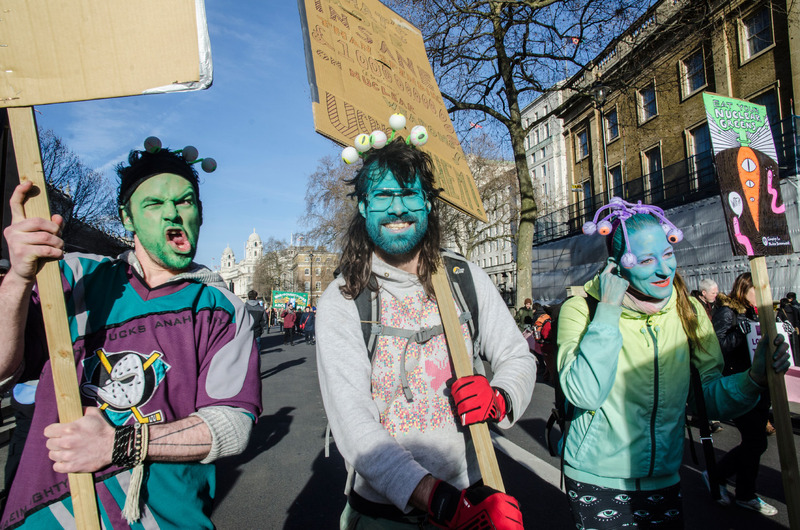 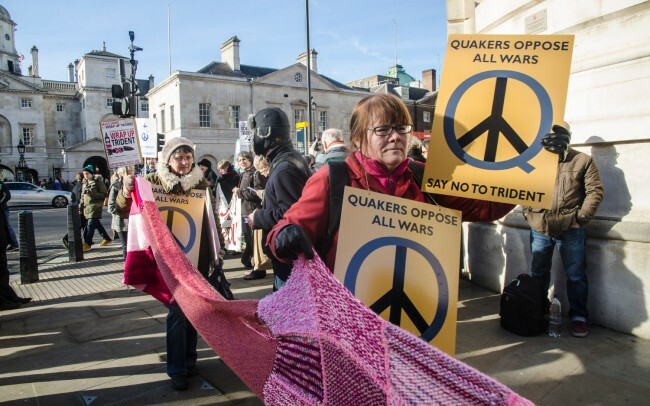 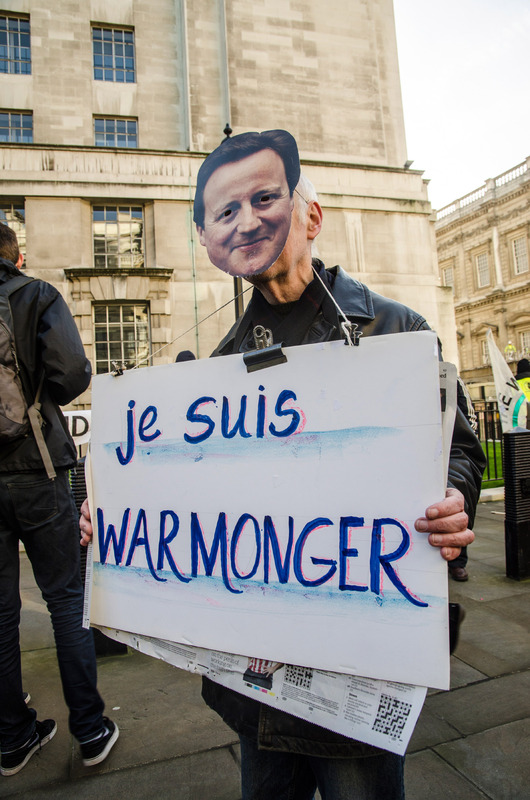 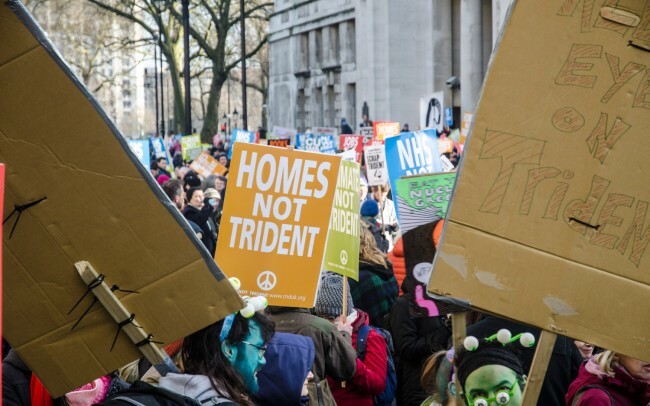 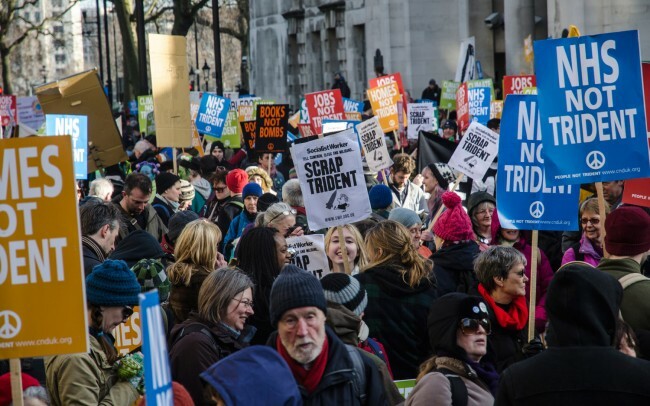 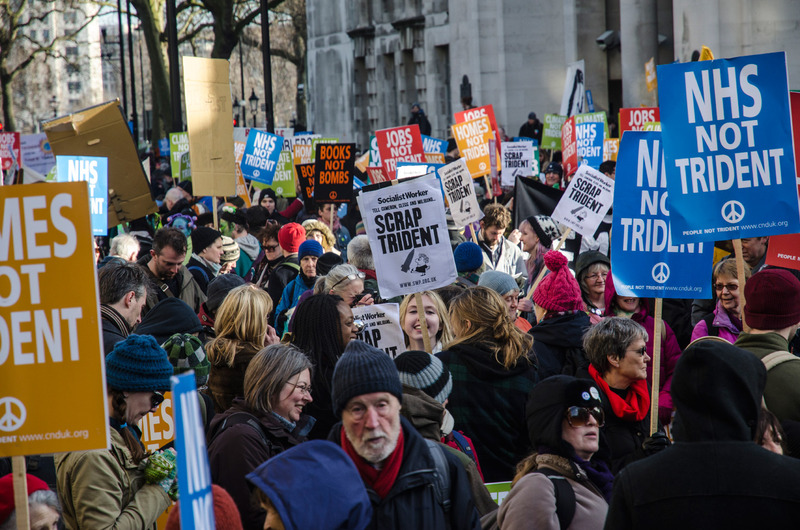 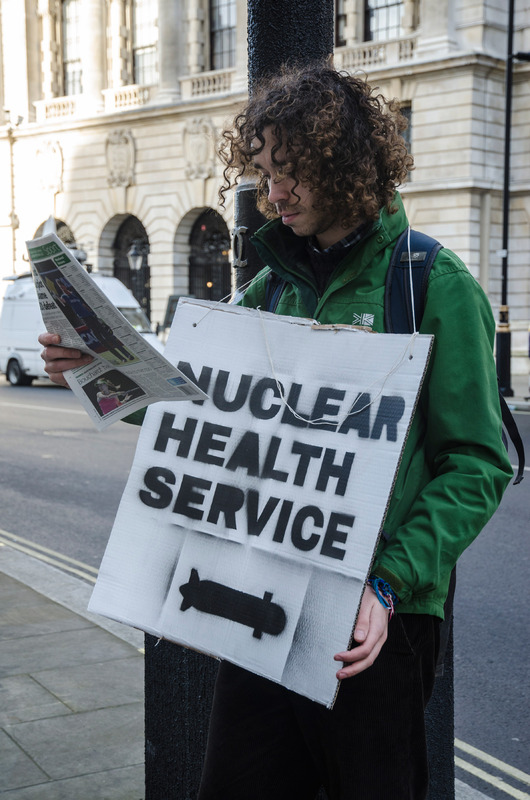 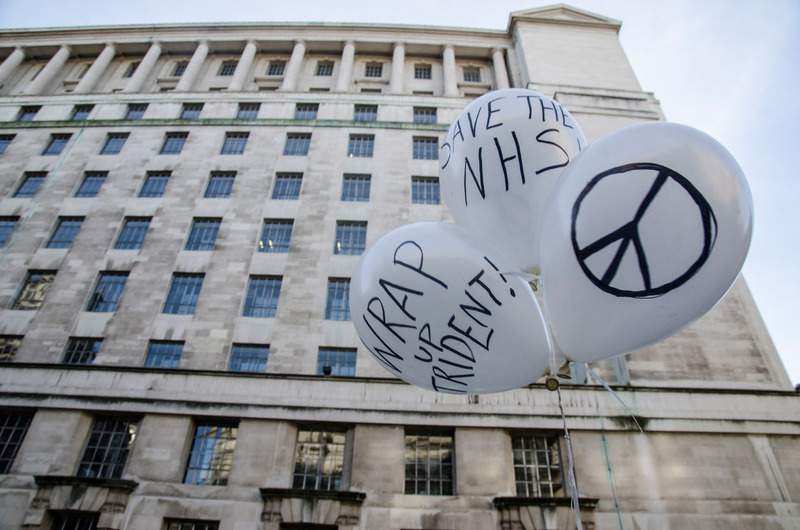 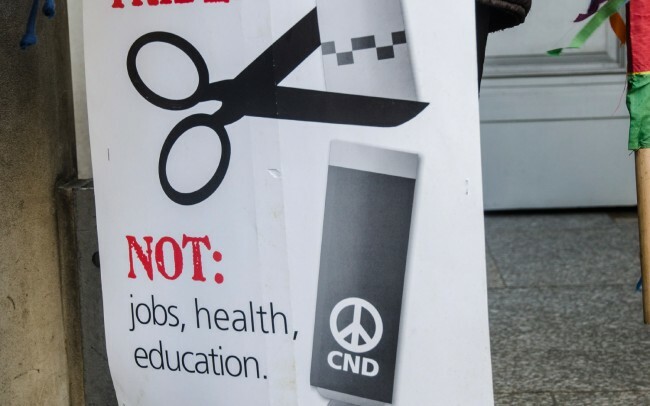 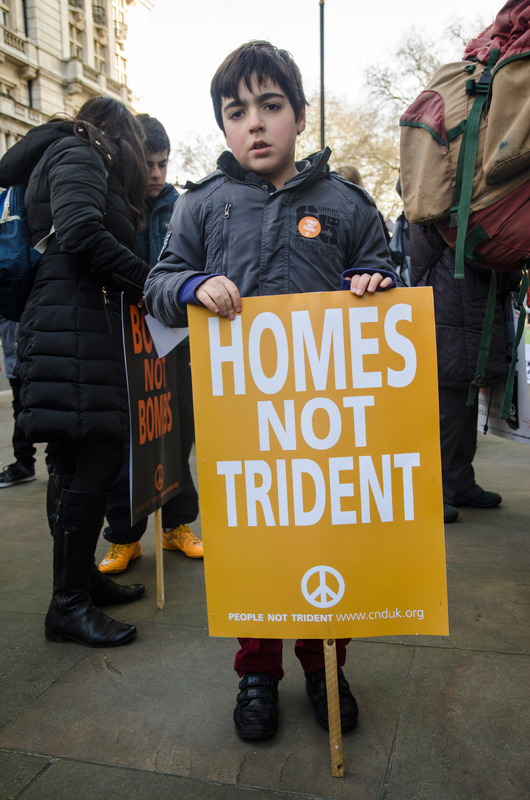 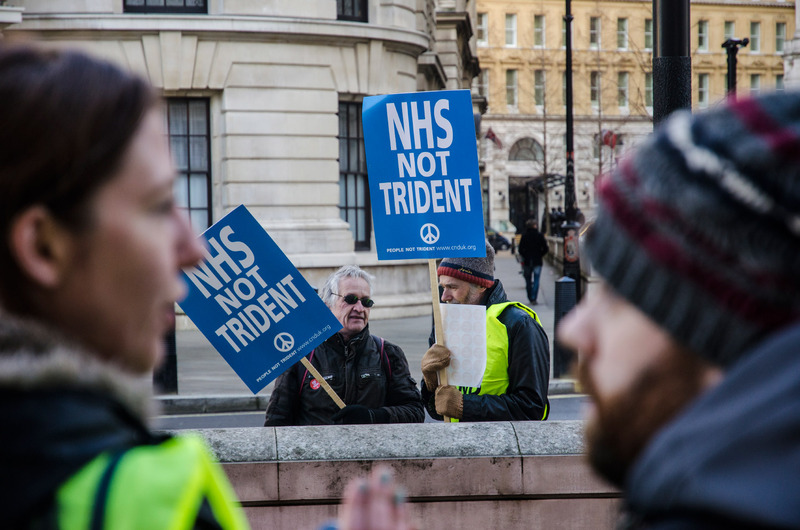 Protest in London against government plans to spend £100 billion replacing the Trident nuclear weapons system. 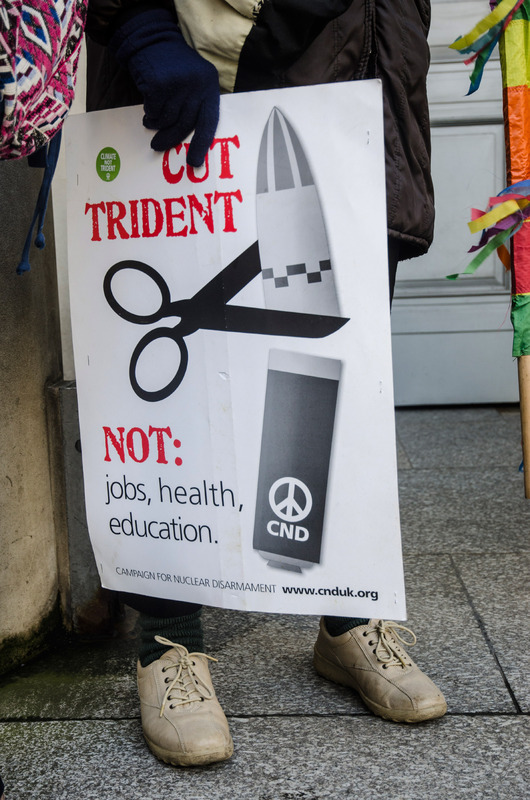 After the 2015 general election, MPs will vote to make a final decision on replacing the Trident nuclear weapons system. 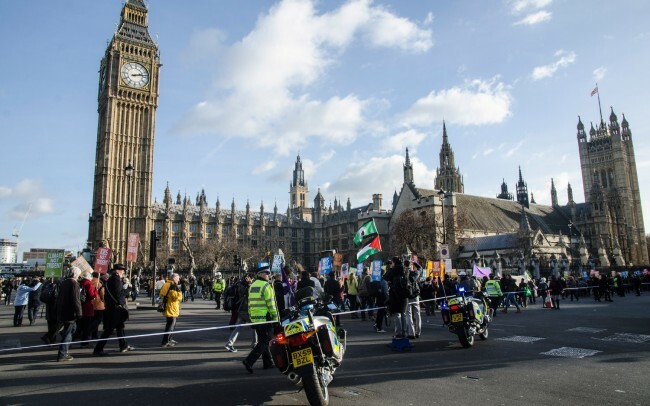 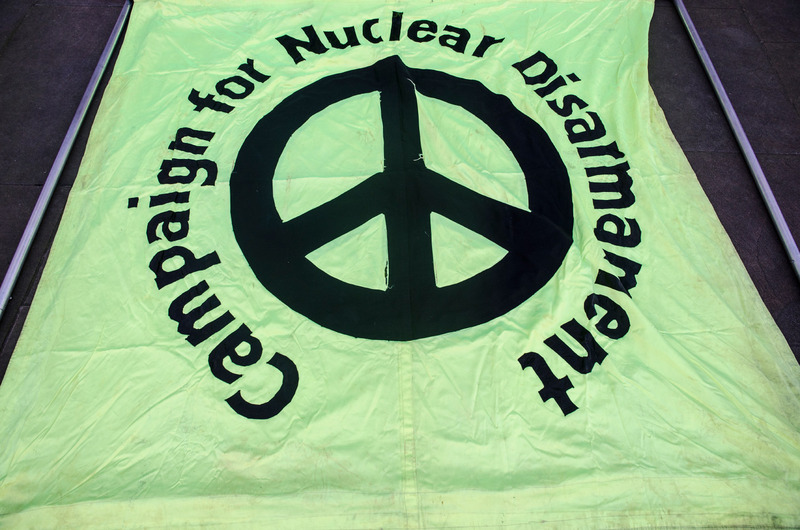 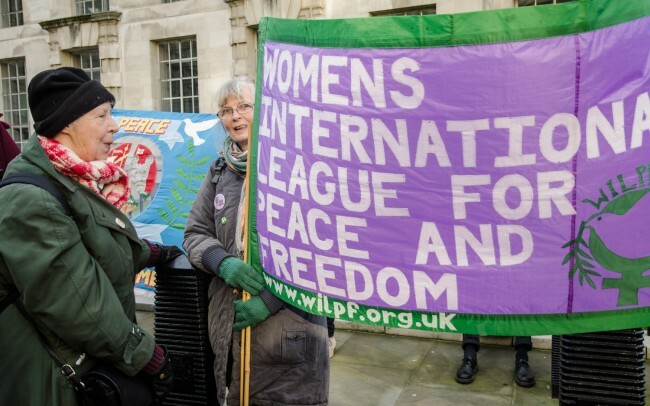 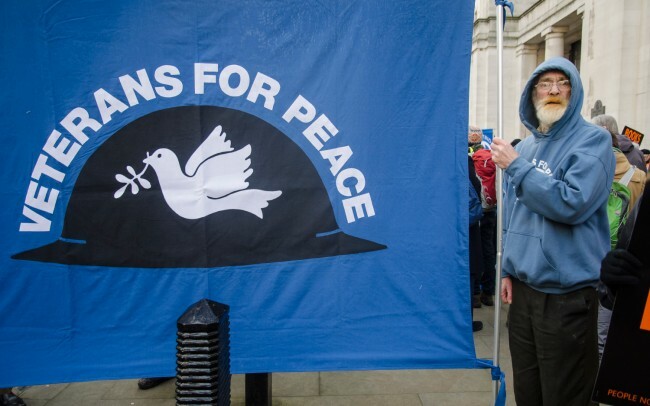 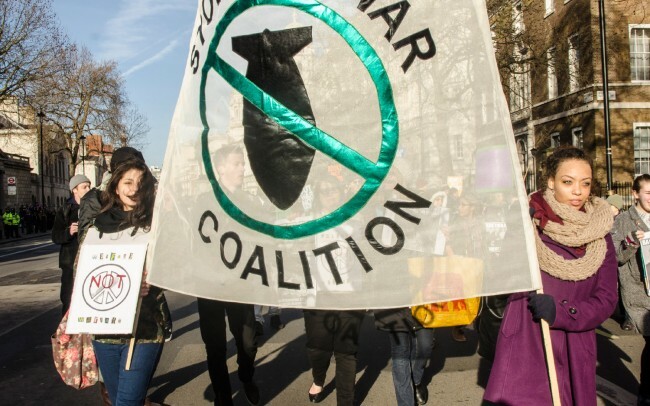 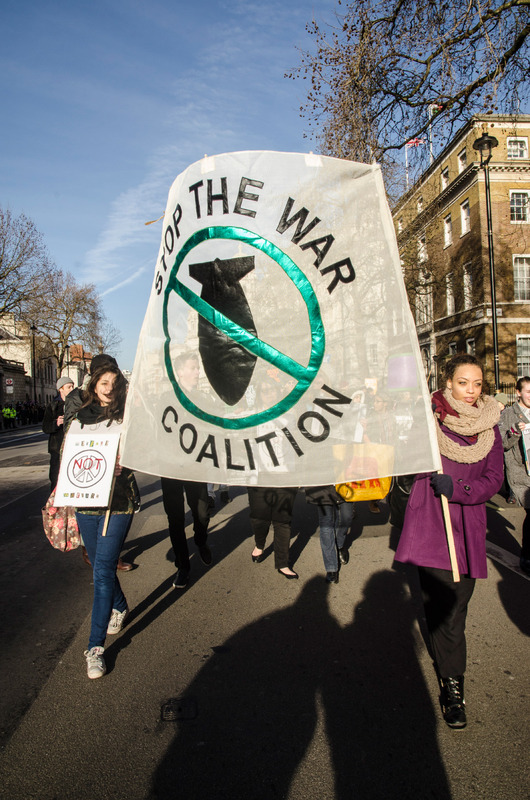 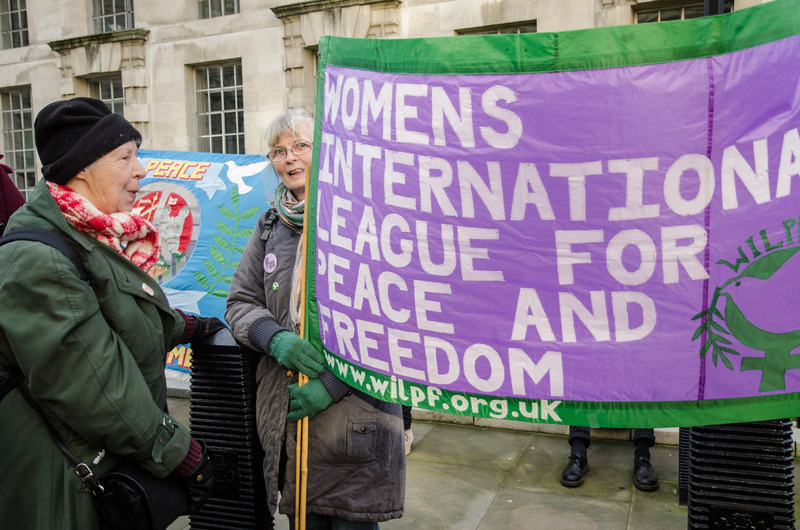 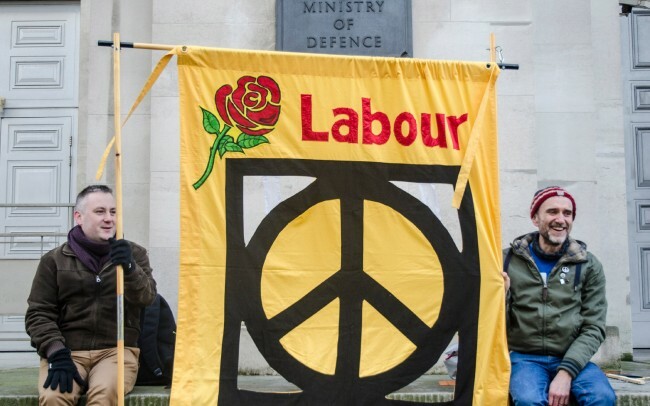 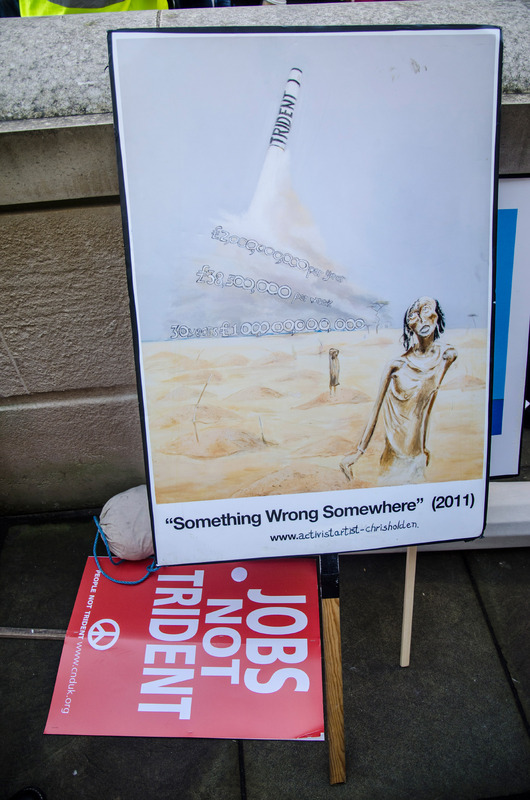 The next general election (in May 2015) will be critical in deciding whether or not the UK commits to ending its reliance on nuclear weapons, and commits to negotiations on a global treaty to ban all nuclear armaments, worldwide. 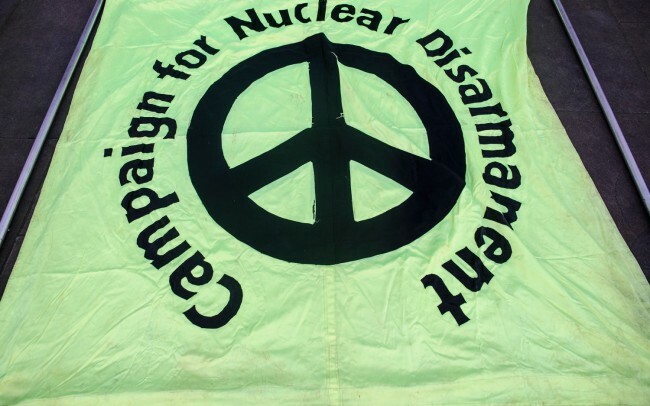 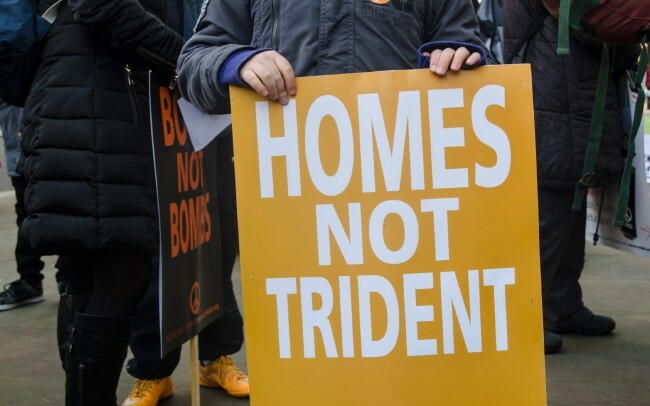 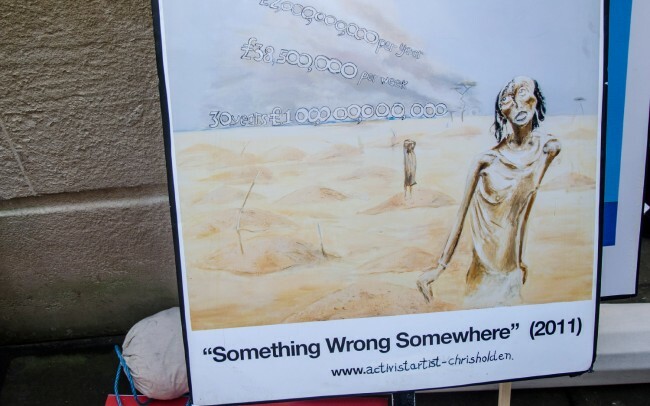 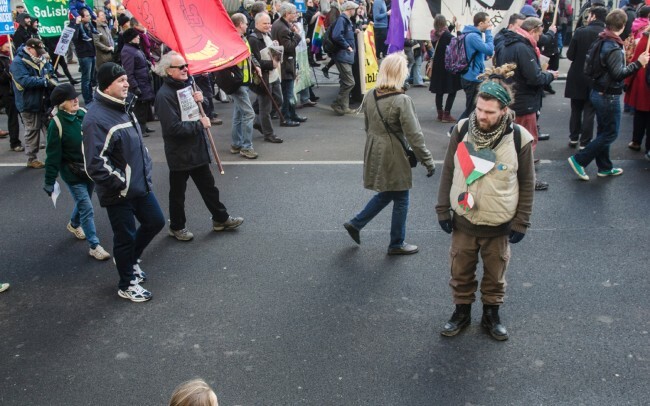 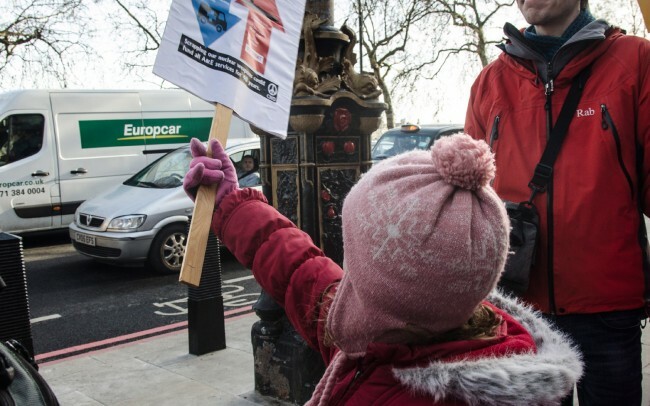 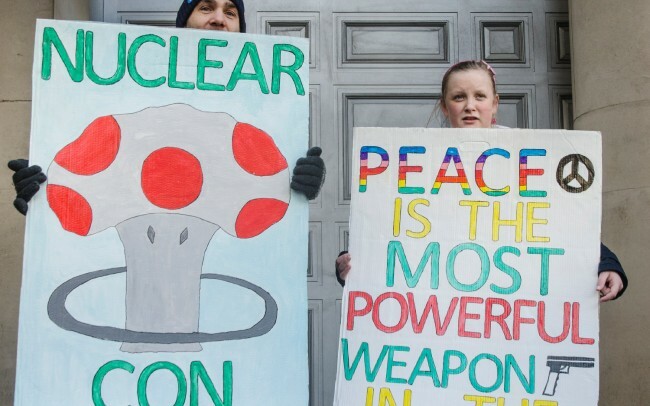 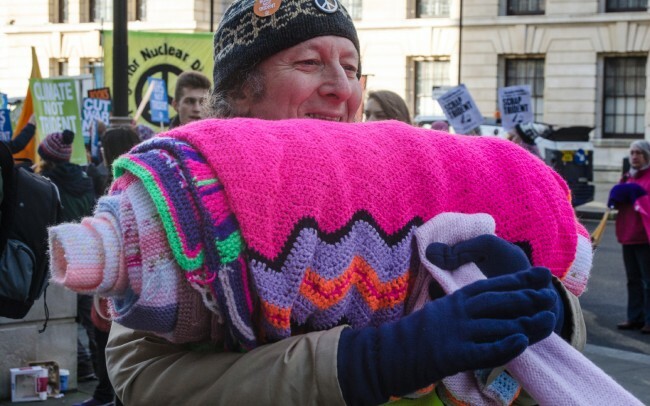 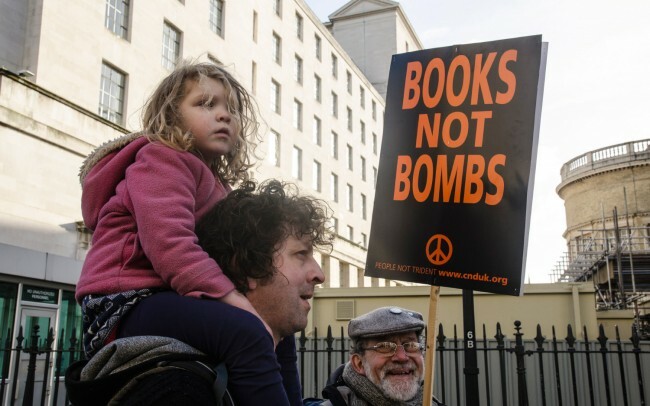 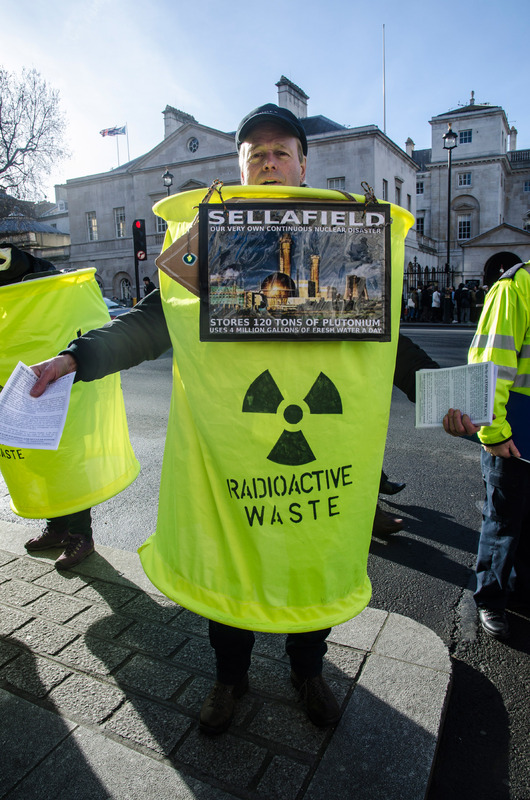 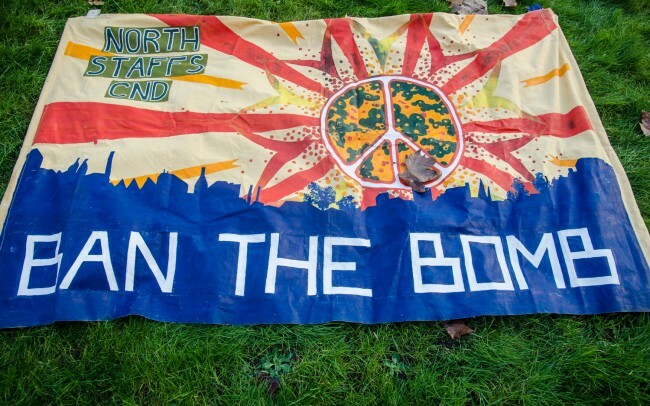 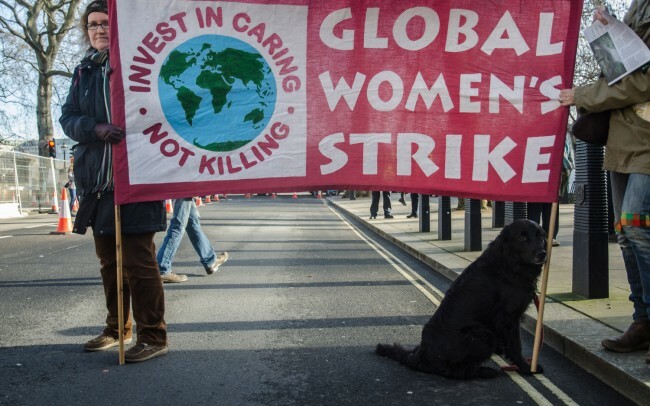 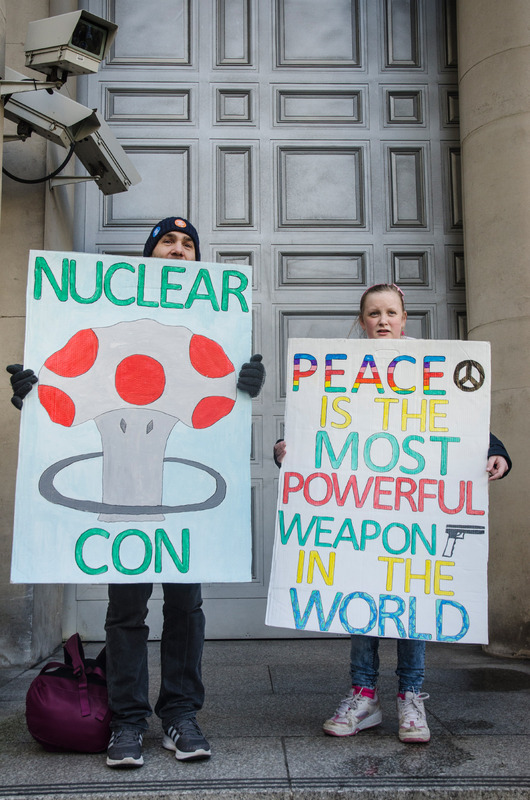 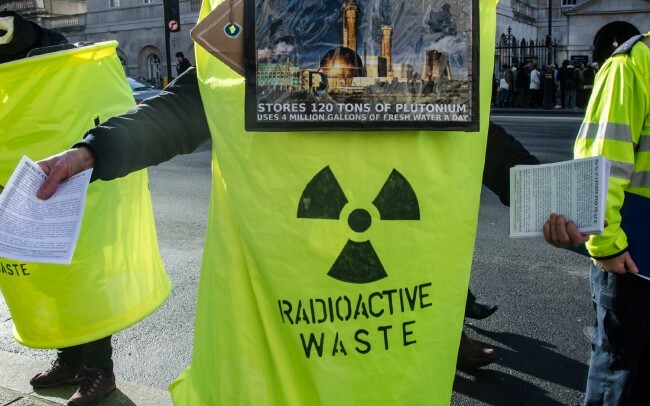 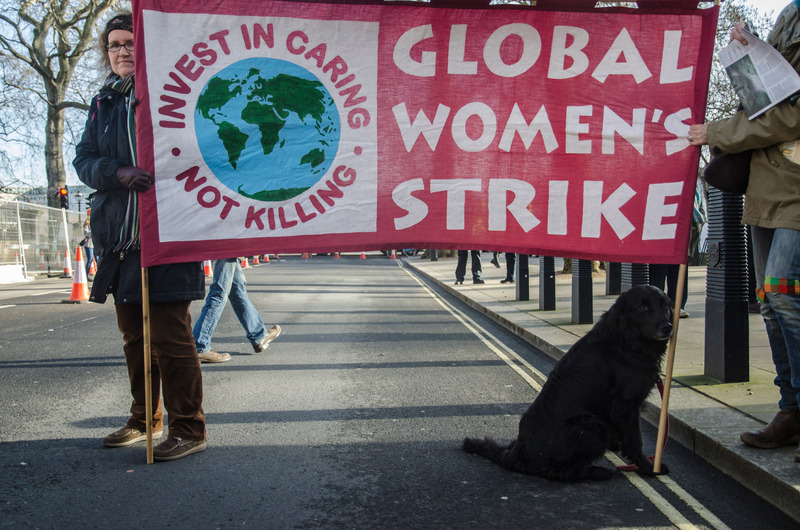 In March 2015, Action AWE are organising a month of nonviolent action at Aldermaston and Burghfield Atomic Weapons Establishments, where Britain builds and maintains it’s nuclear bombs.